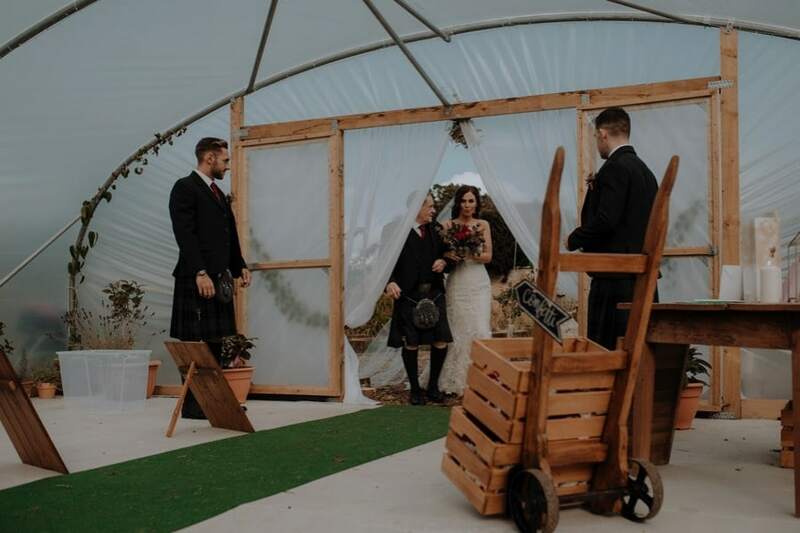 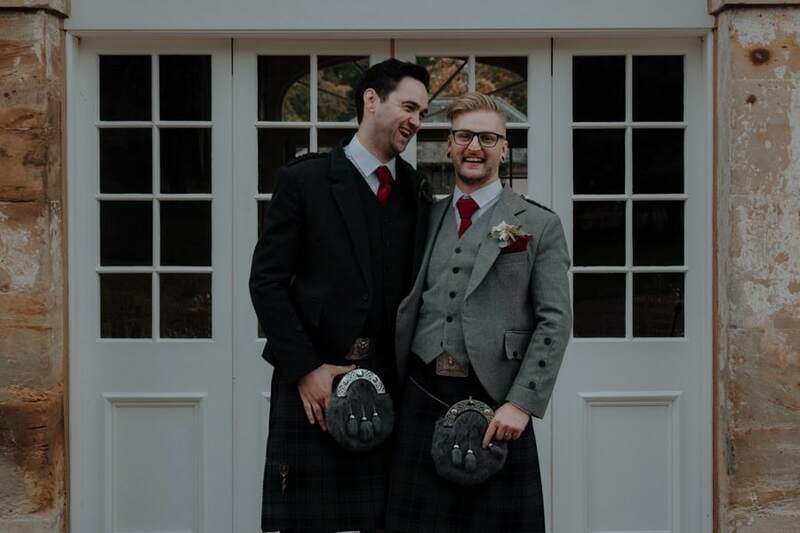 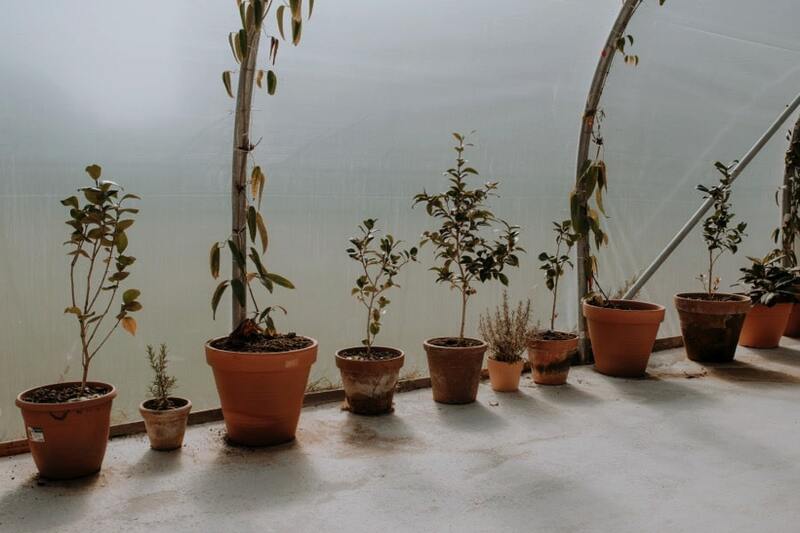 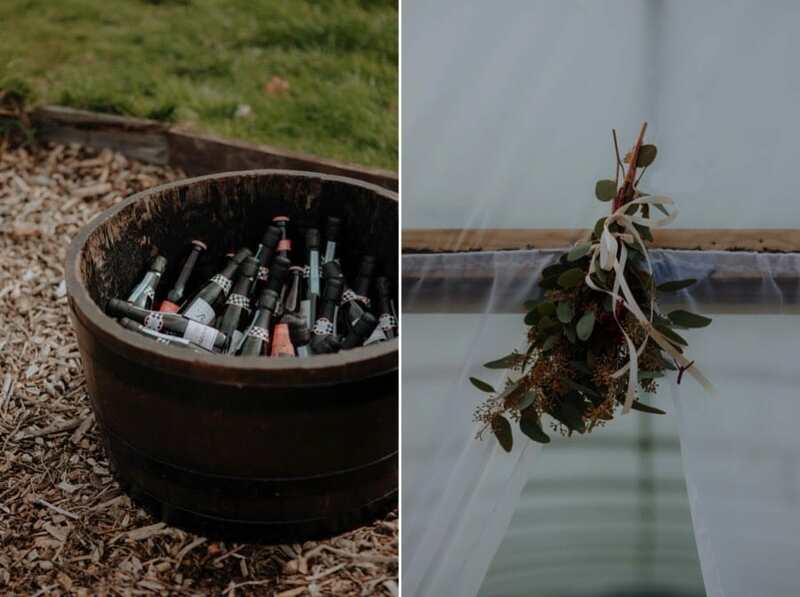 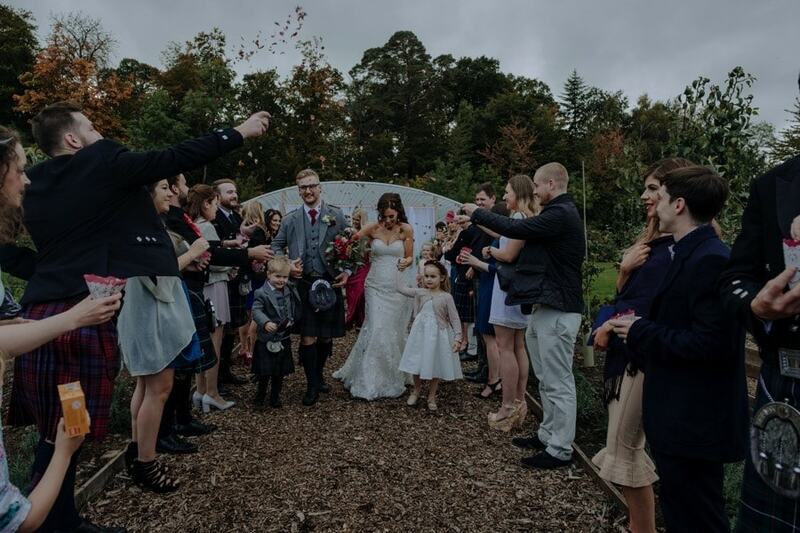 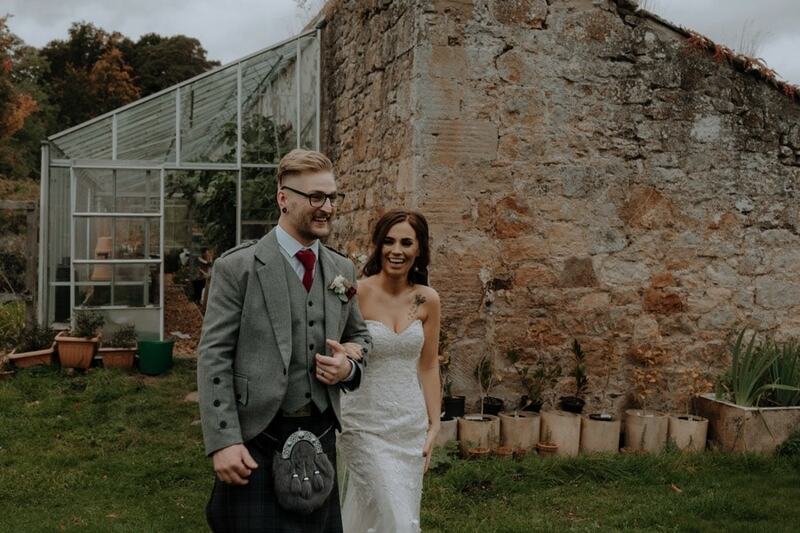 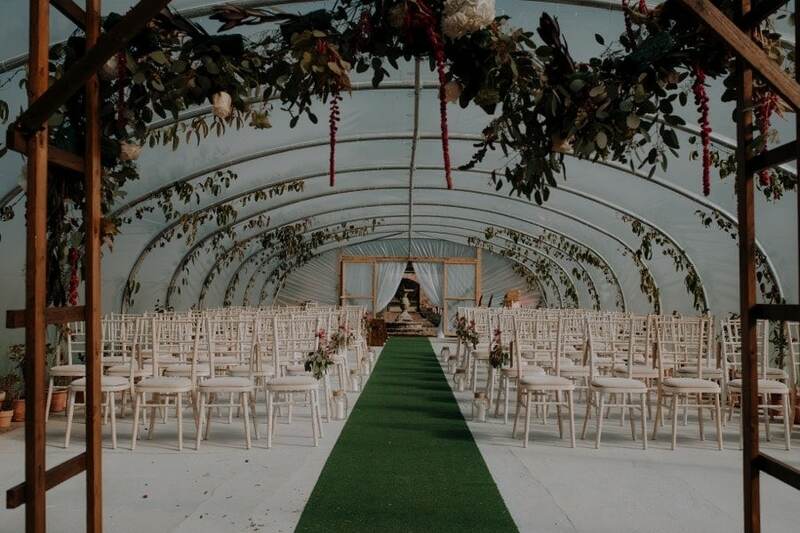 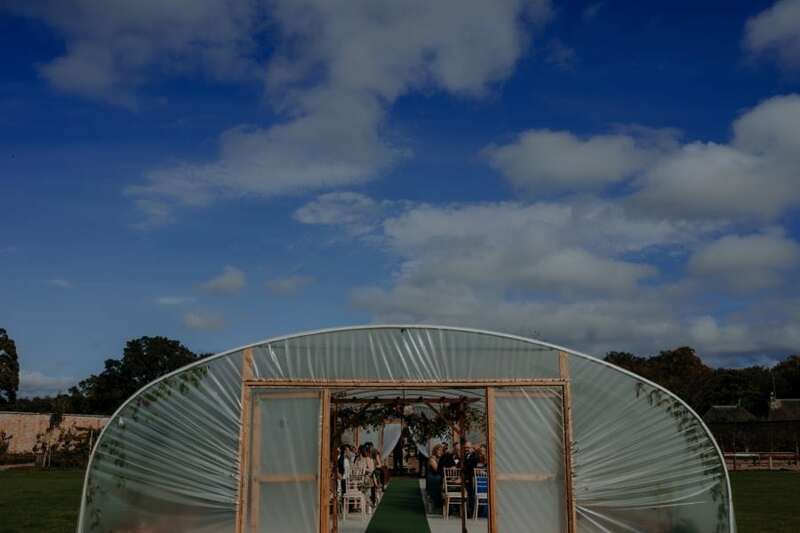 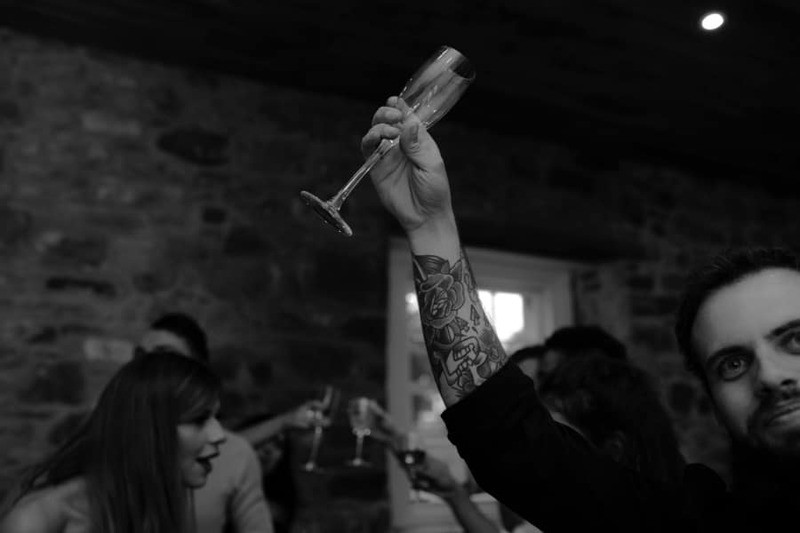 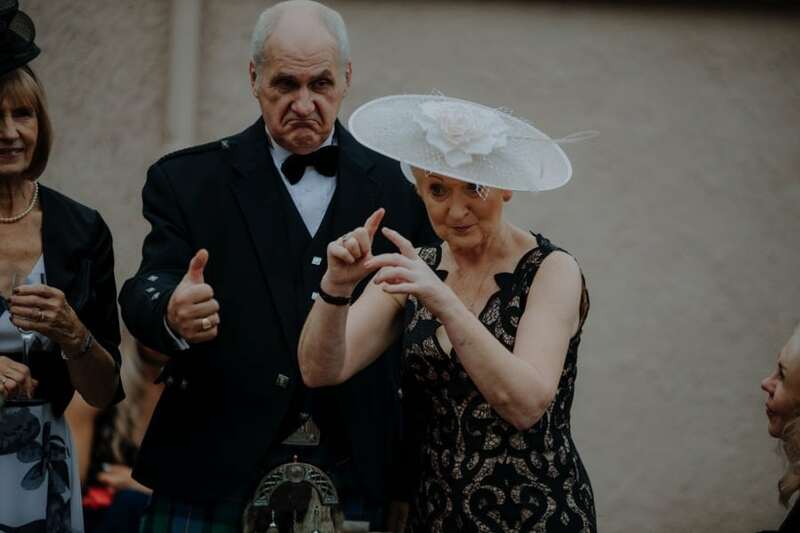 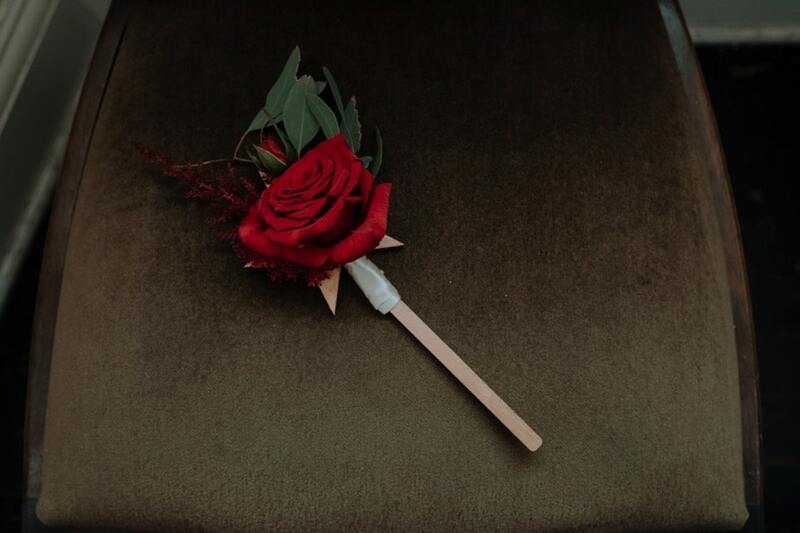 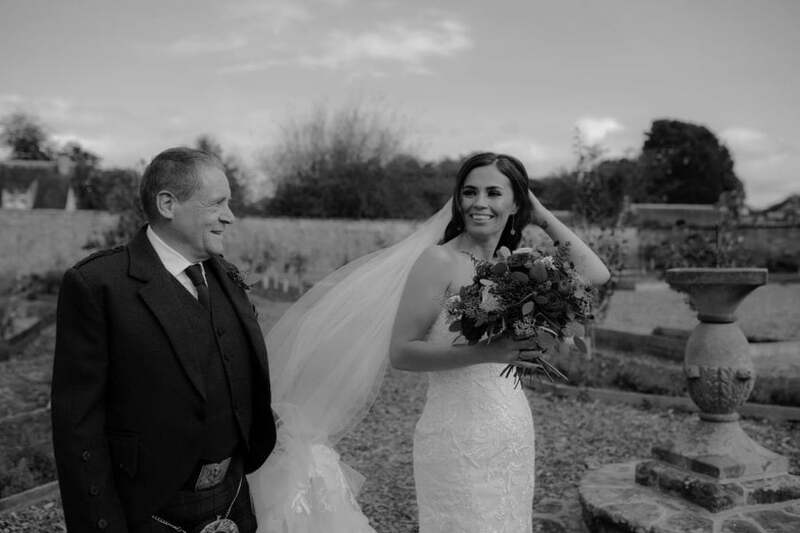 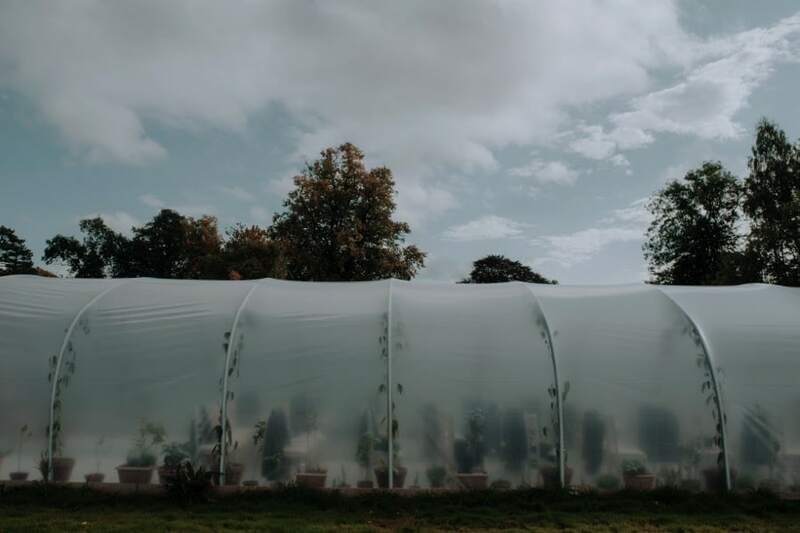 Welcome to the Colstoun House Polytunnel Wedding story of Claire & Stefan. 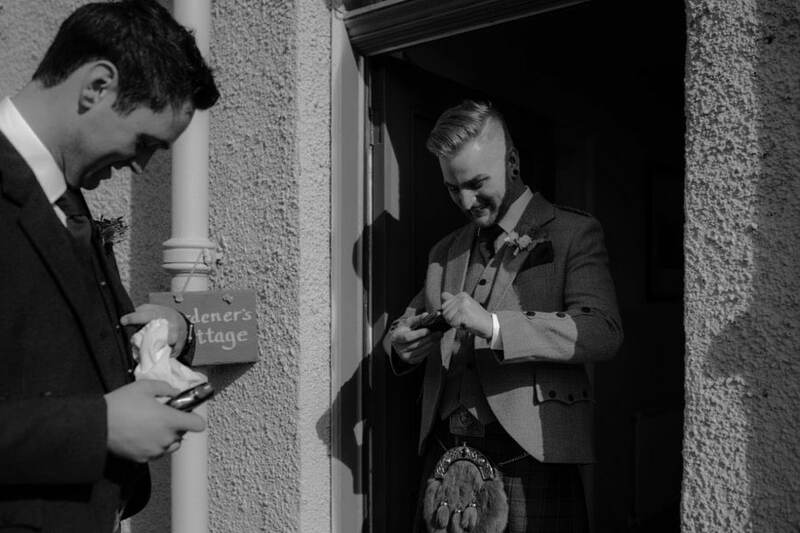 Claire got in touch with me at the start of the year to capture their wedding. 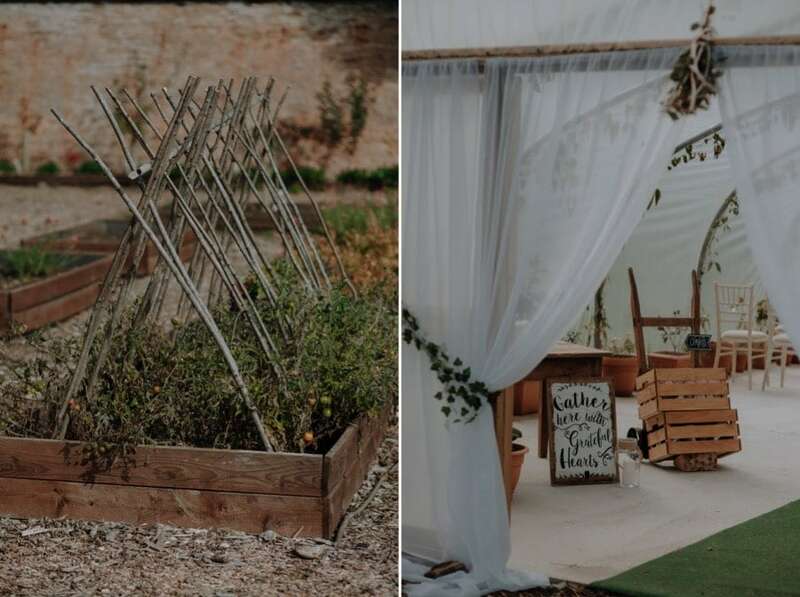 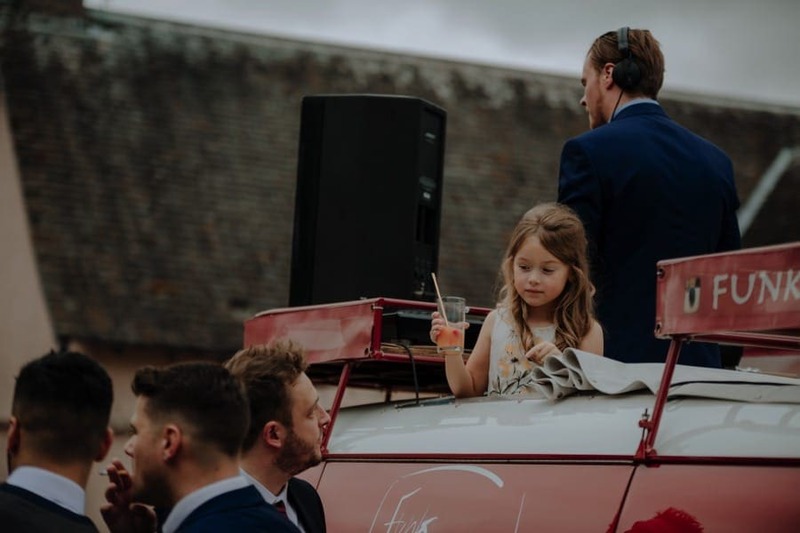 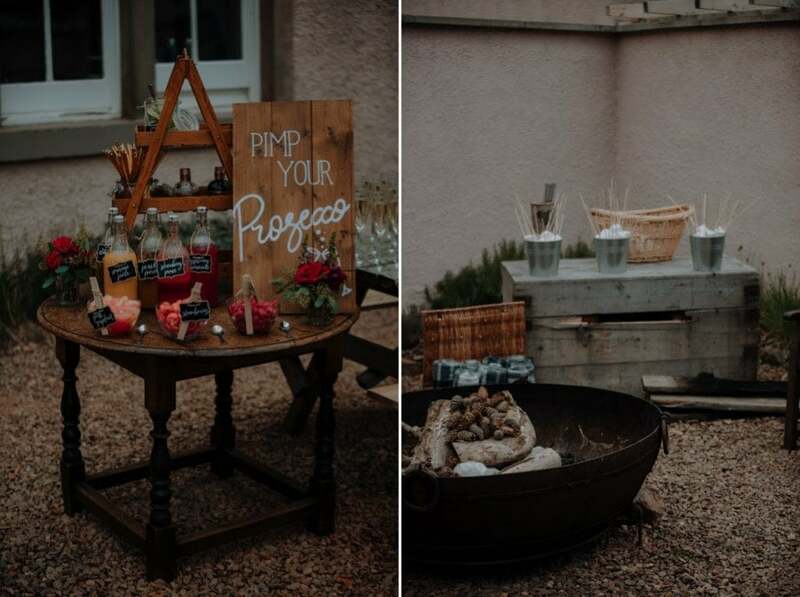 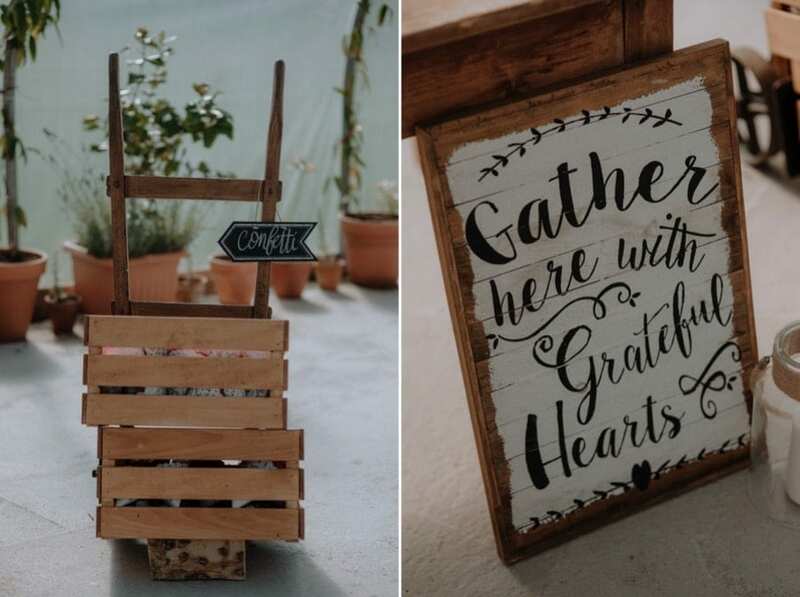 They were planning a relaxed rustic affair with BBQ spreads, drinks, a VW Music van & a lot of dancing. 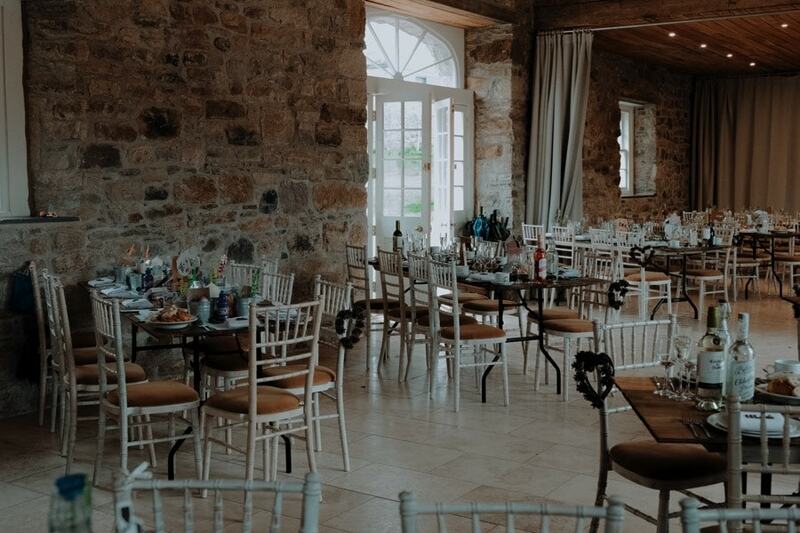 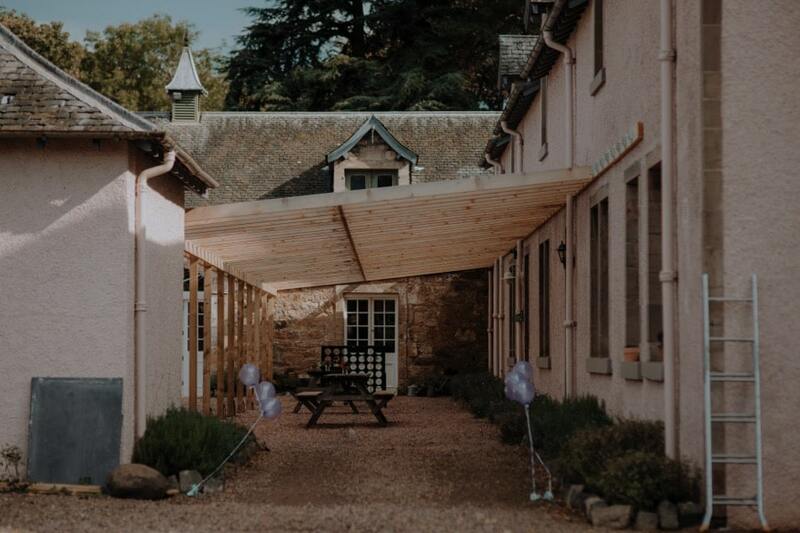 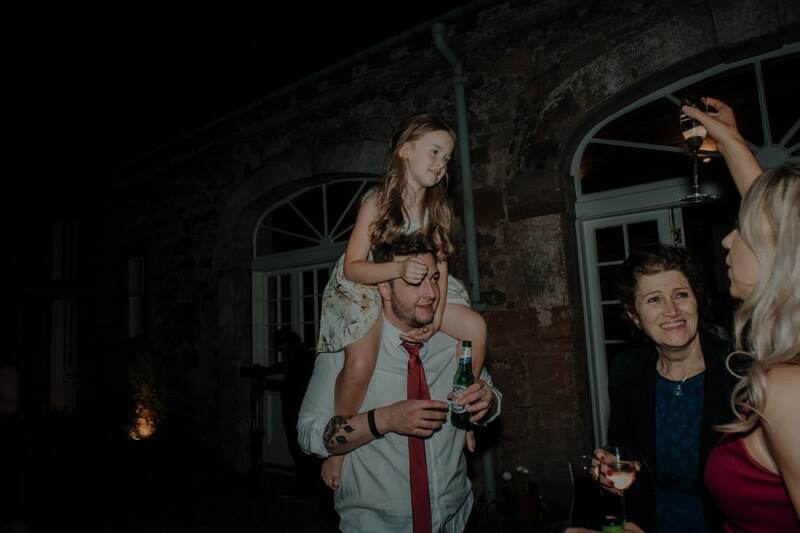 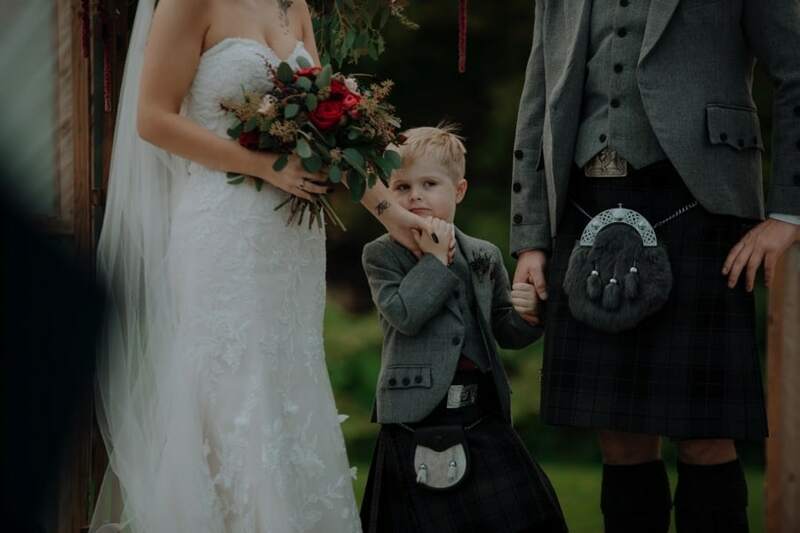 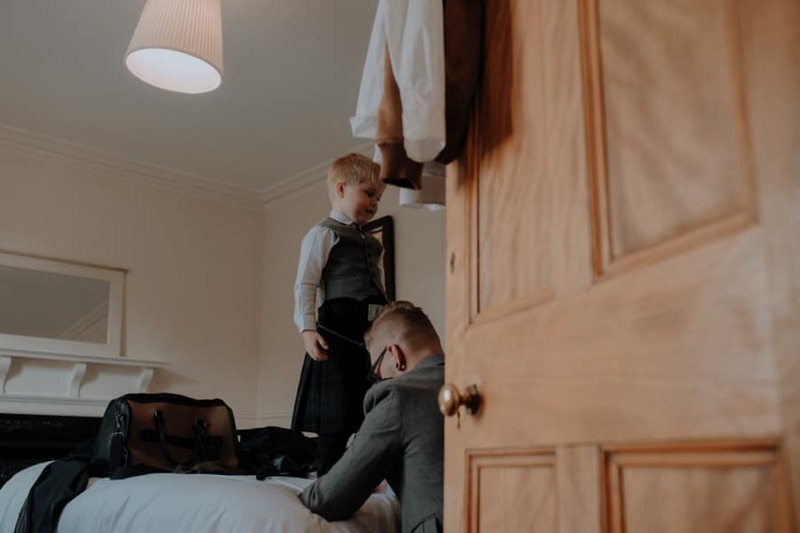 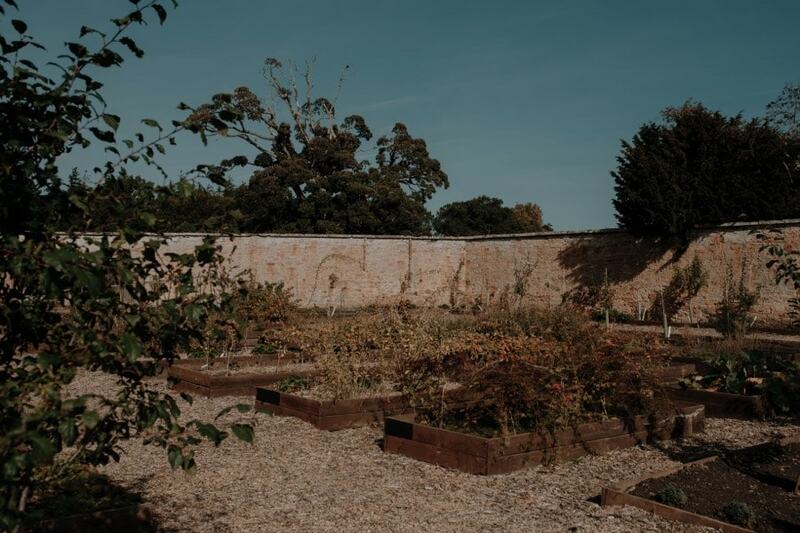 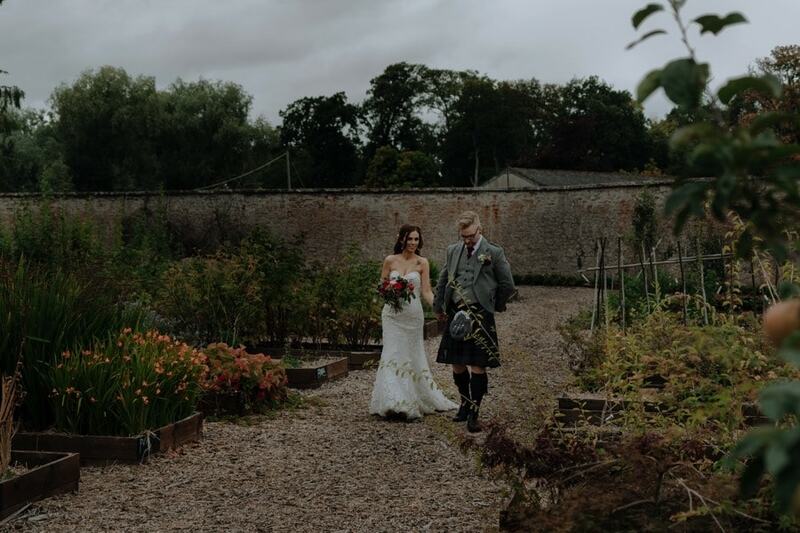 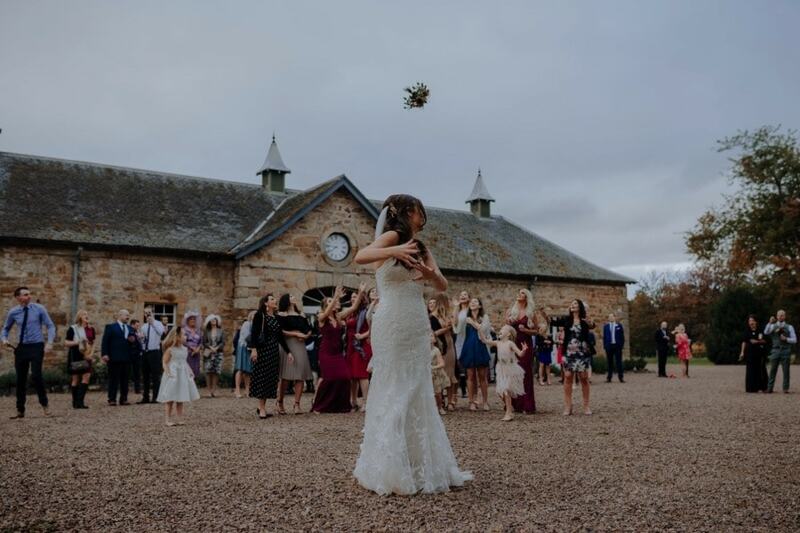 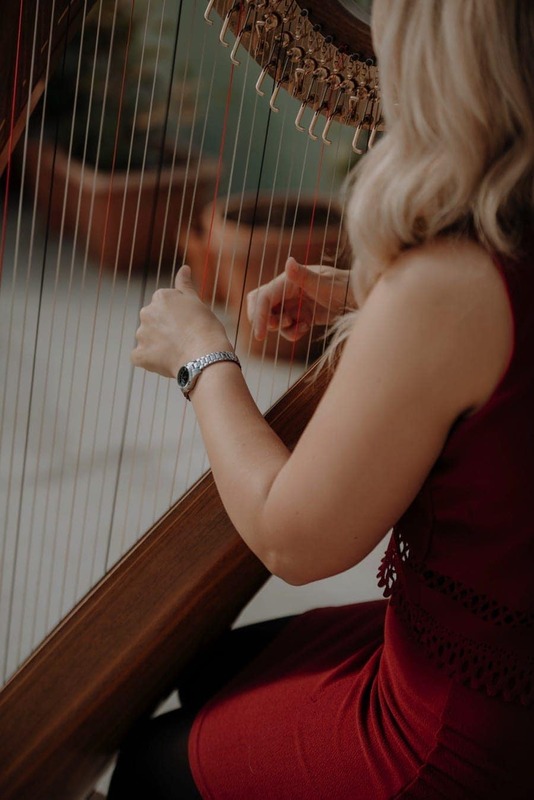 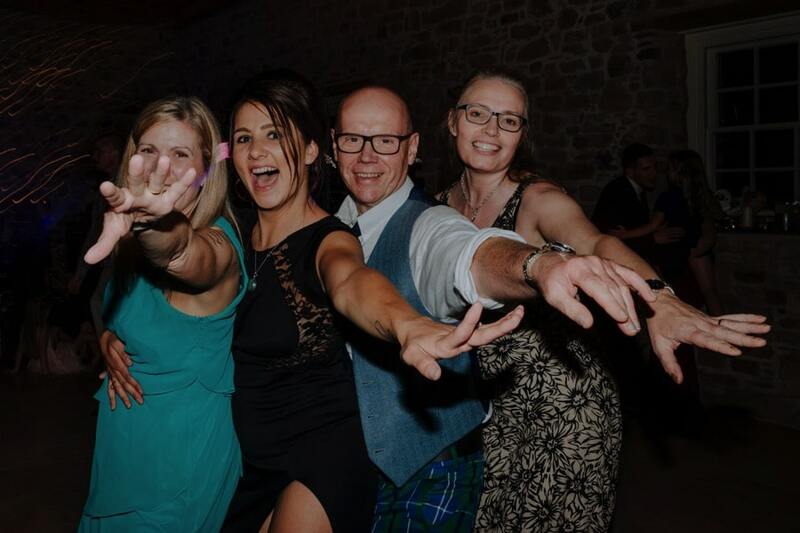 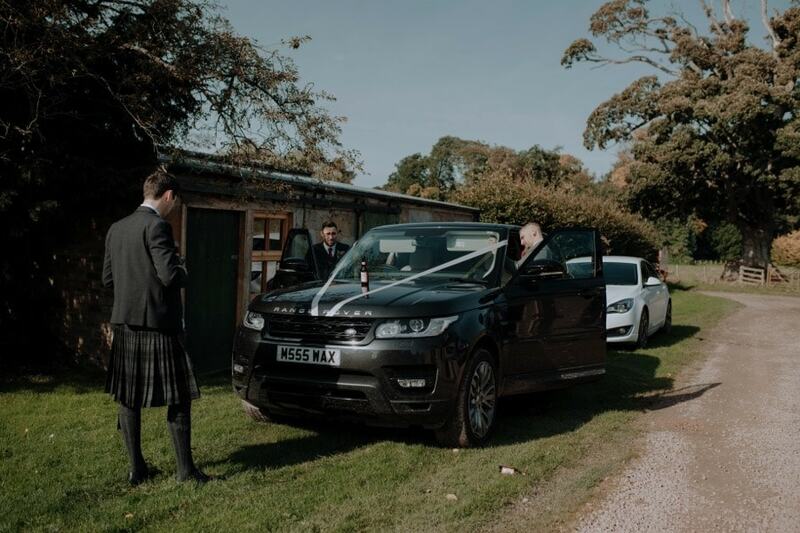 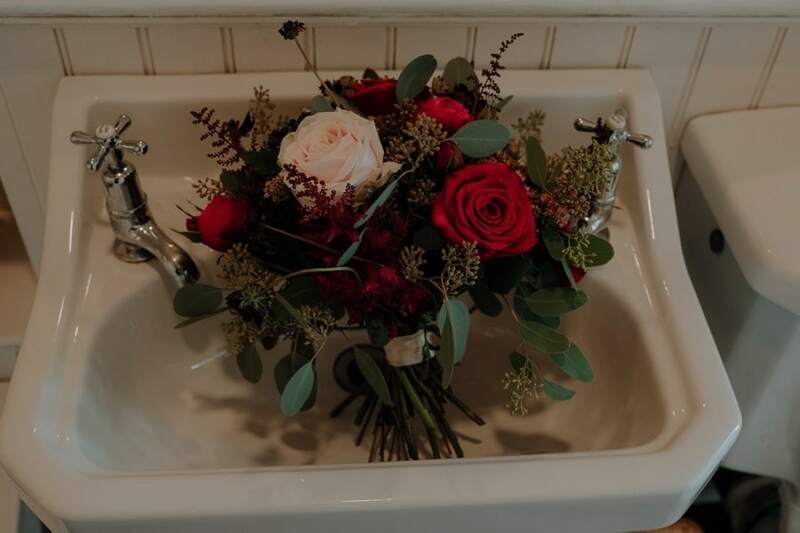 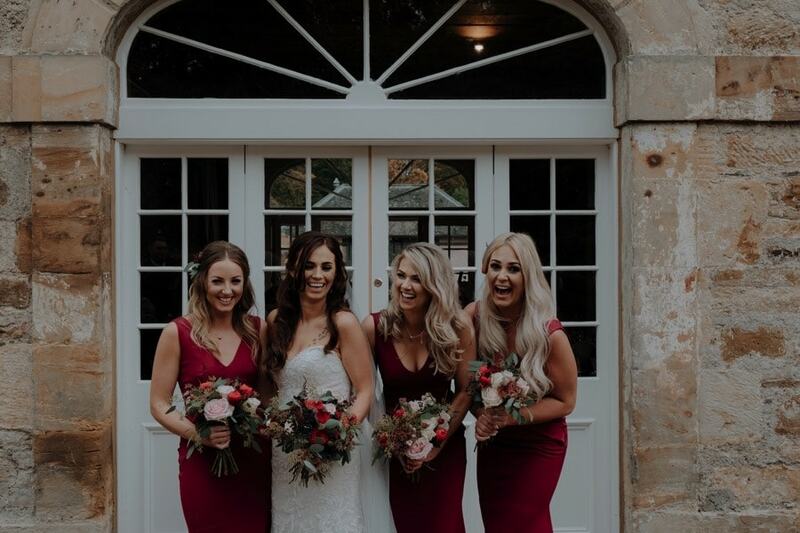 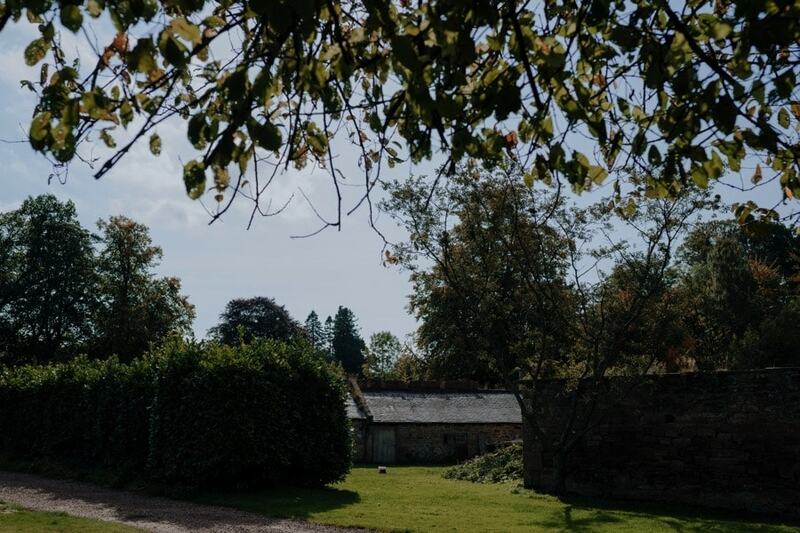 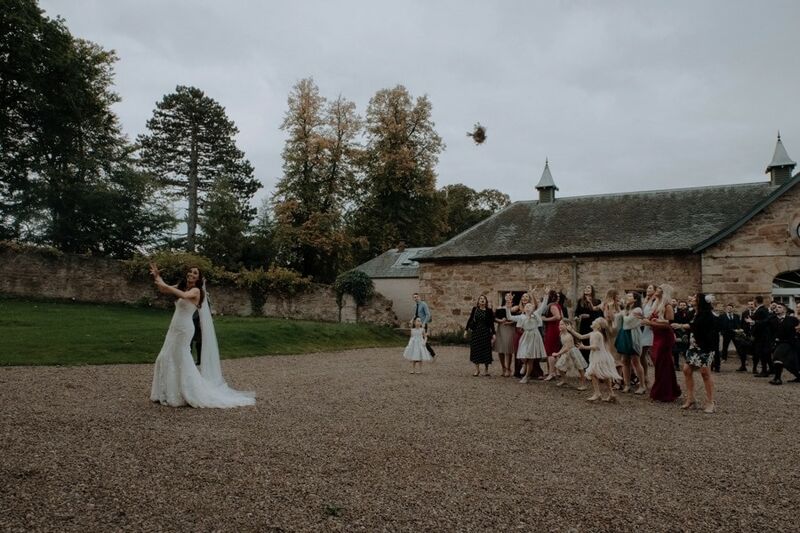 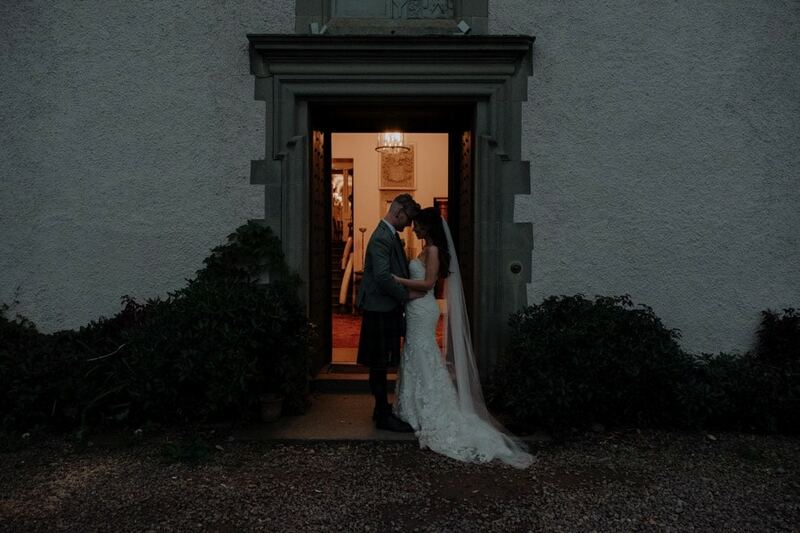 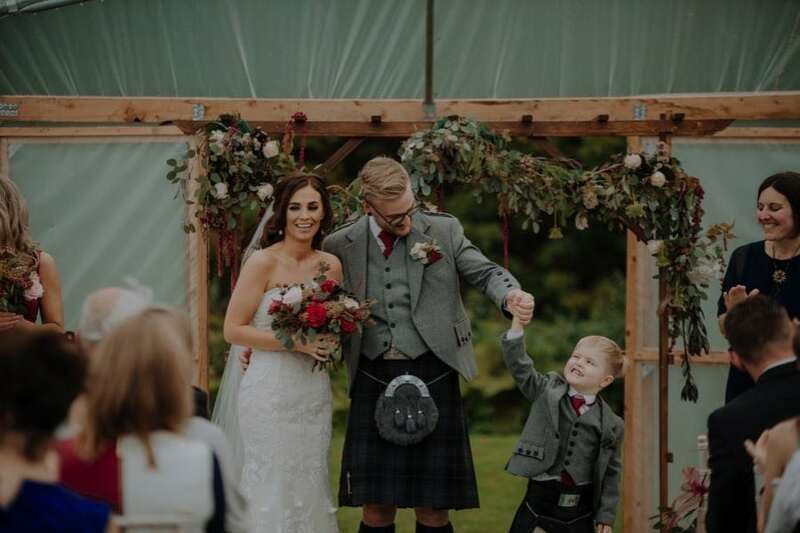 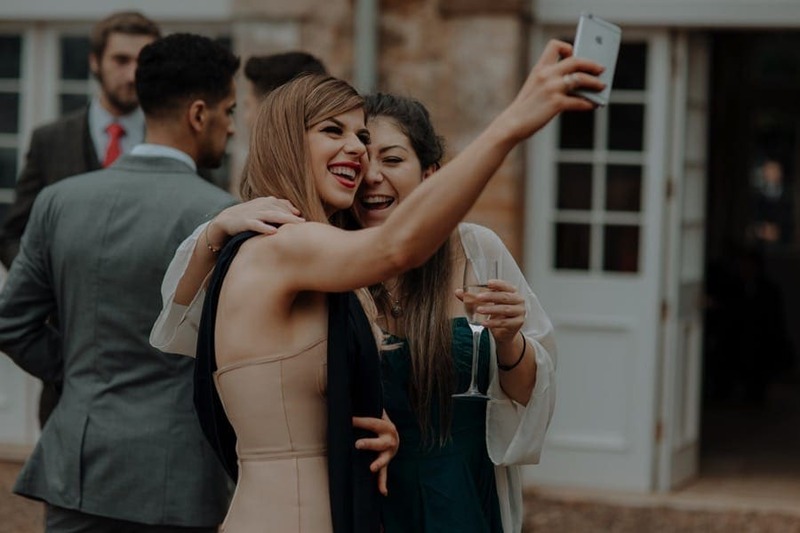 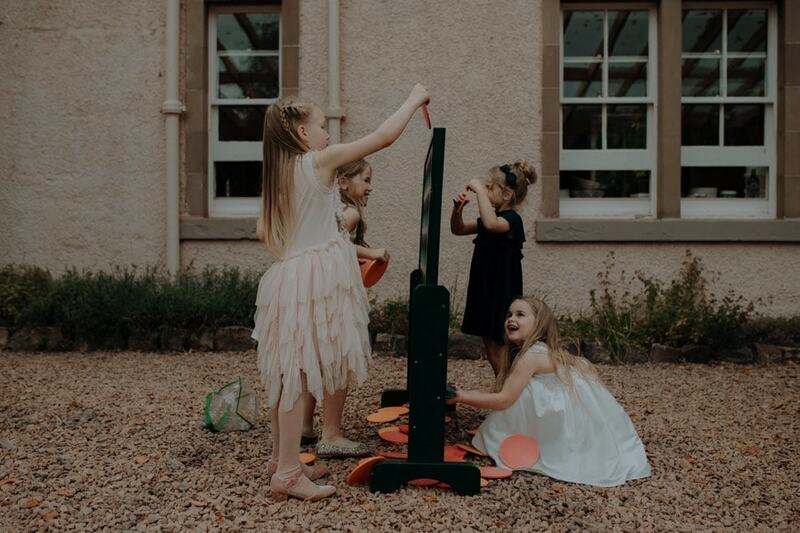 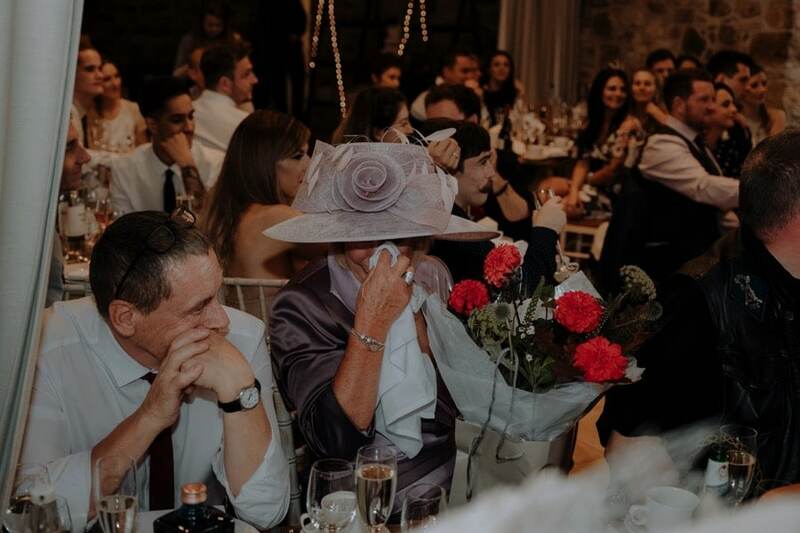 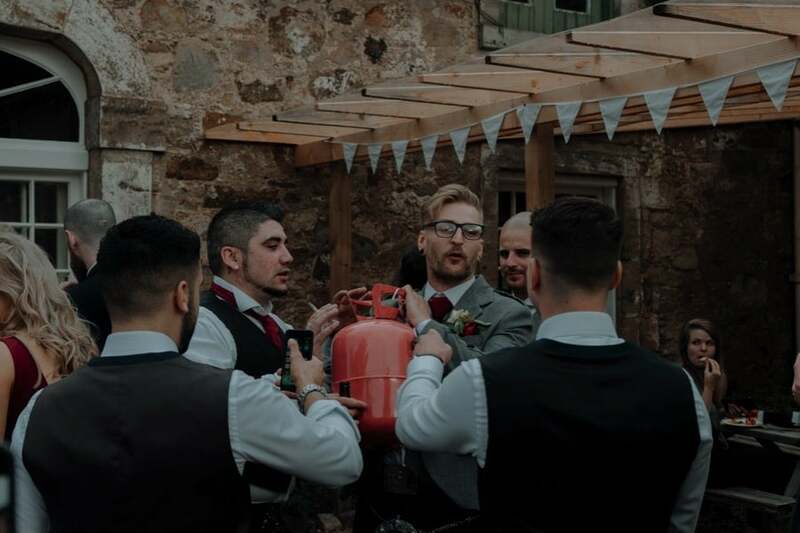 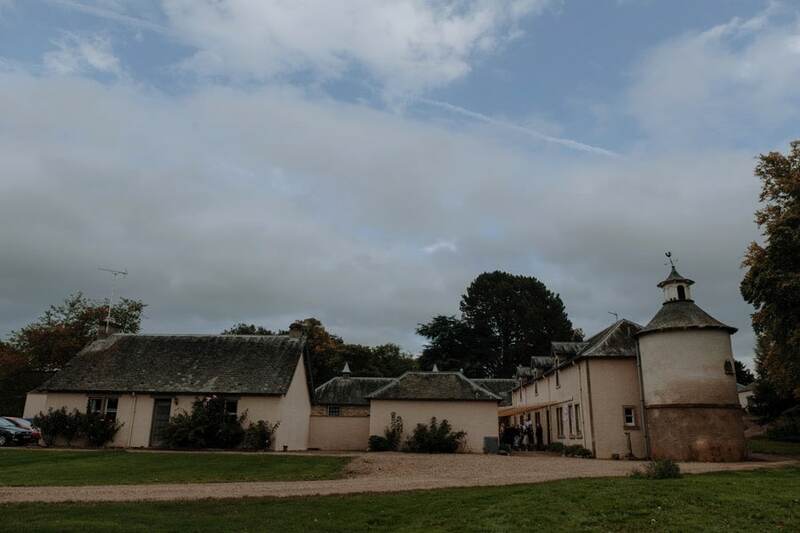 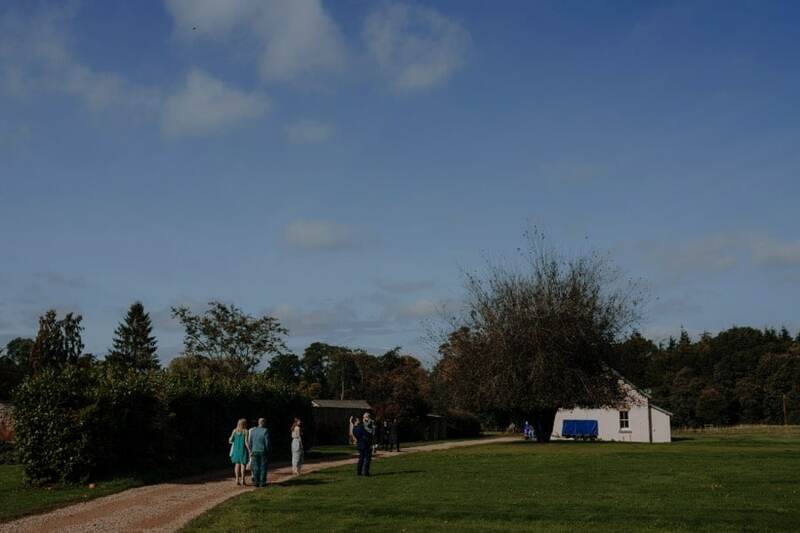 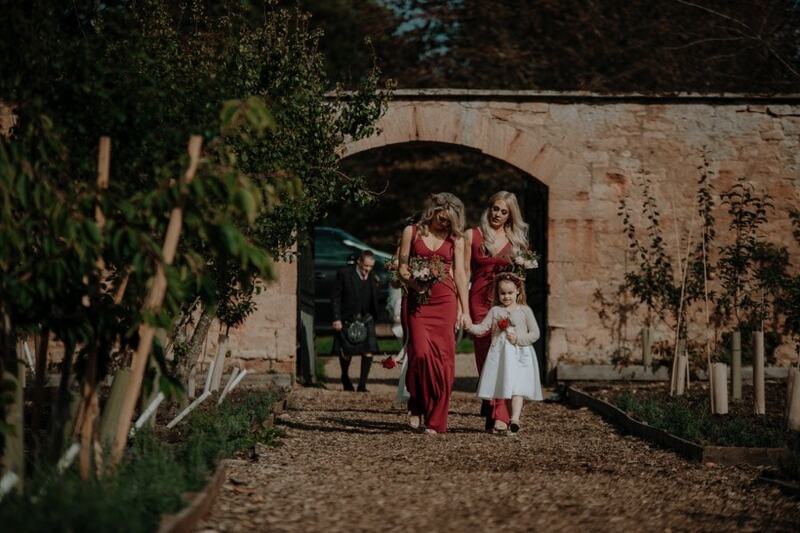 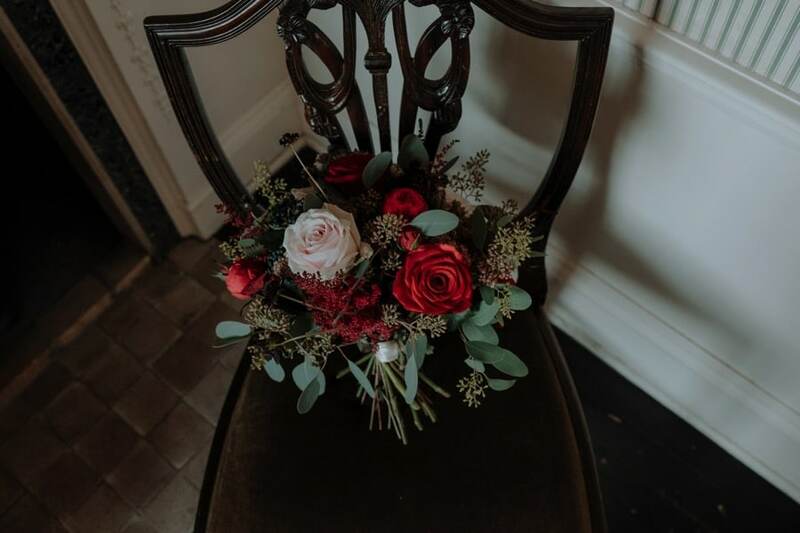 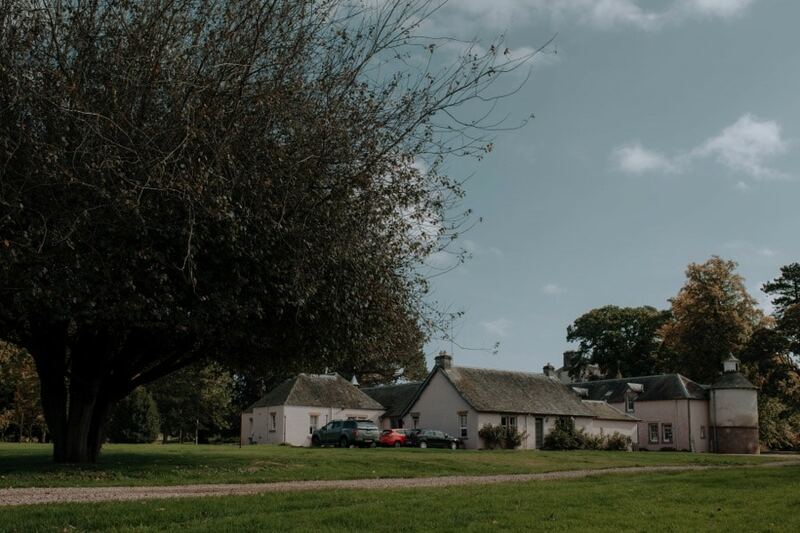 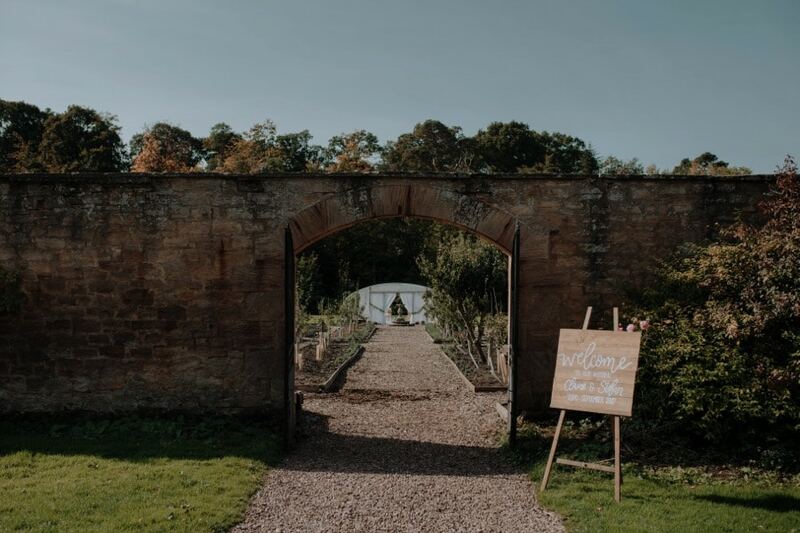 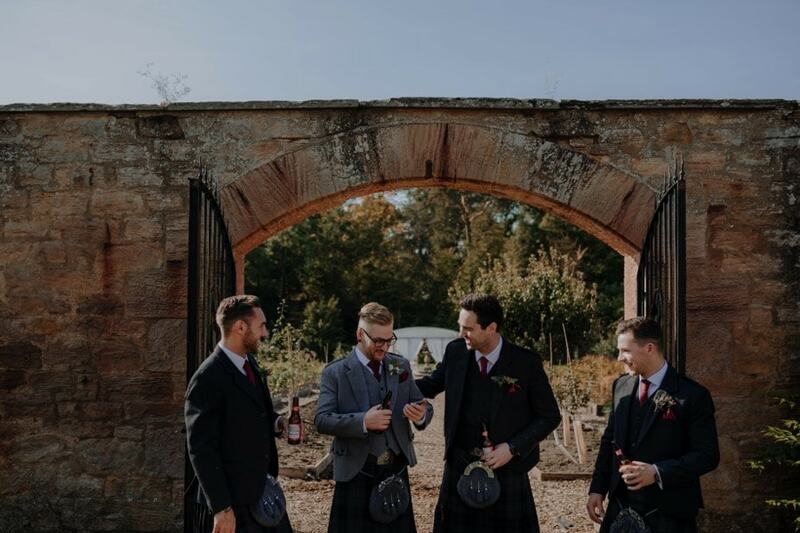 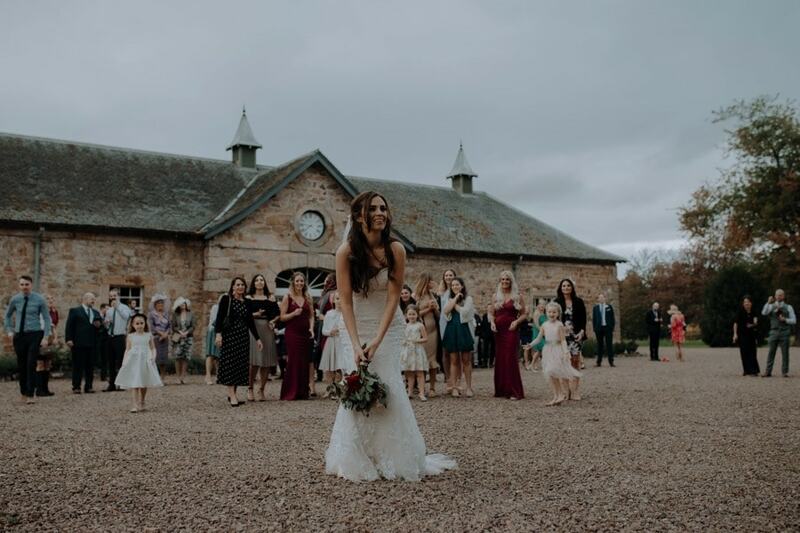 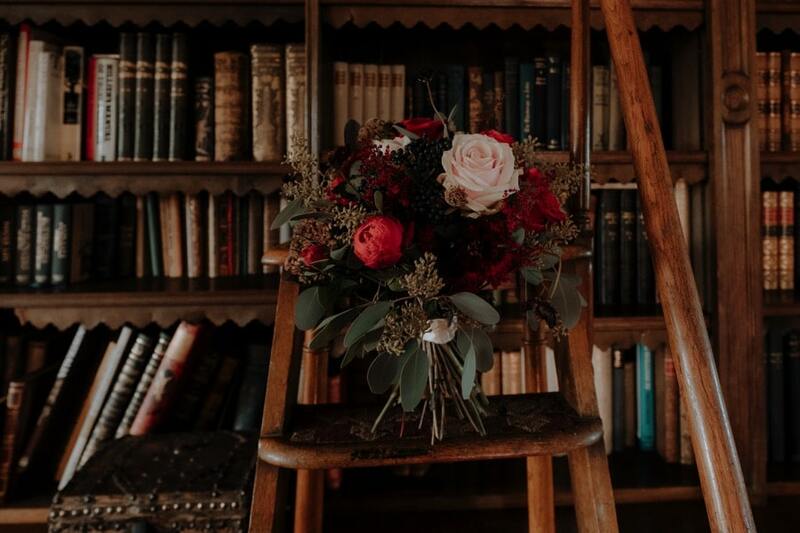 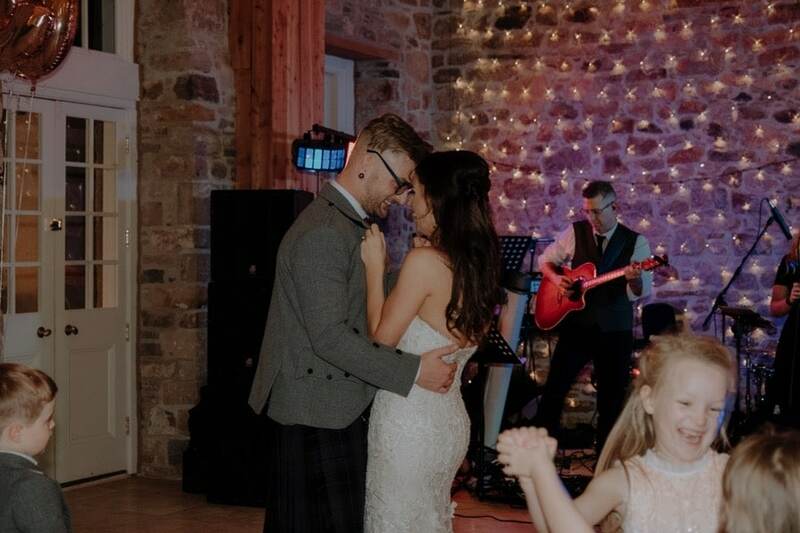 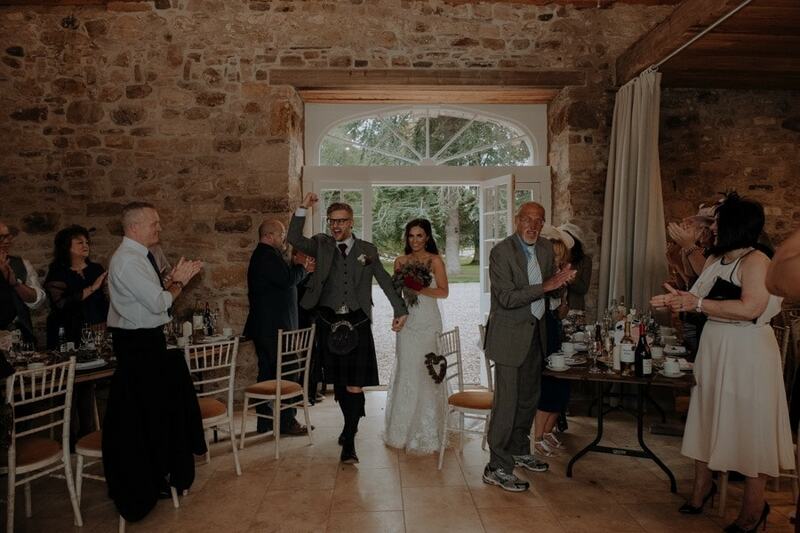 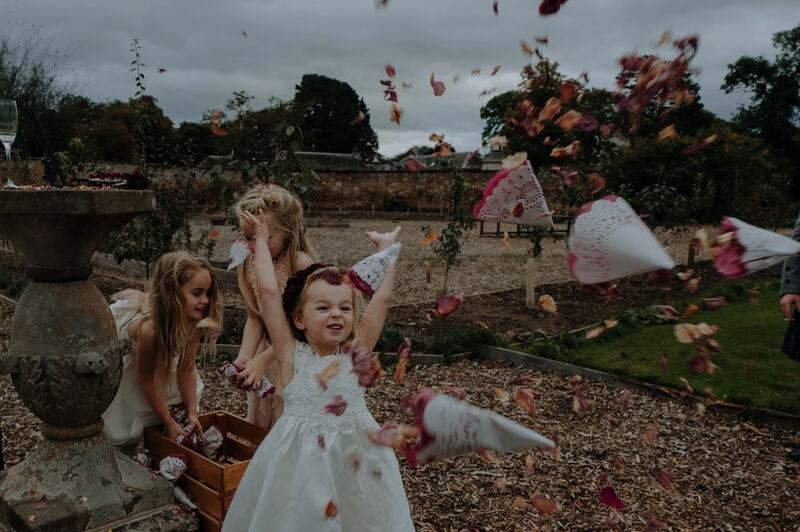 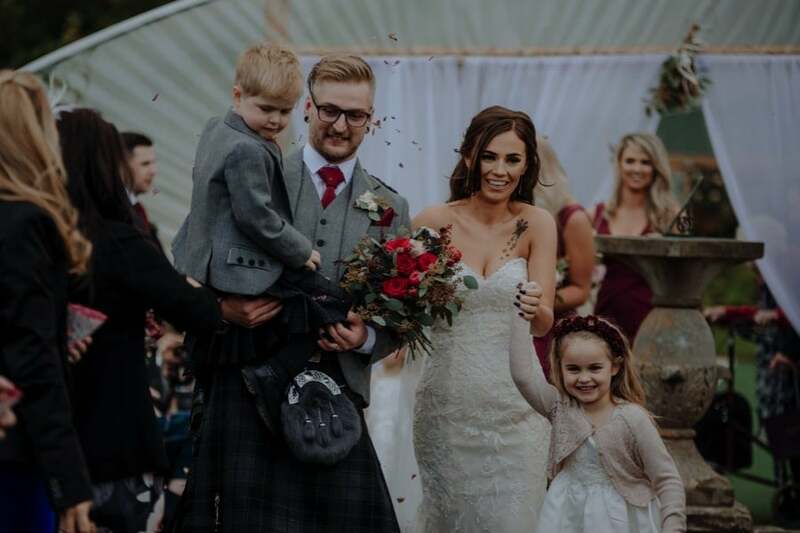 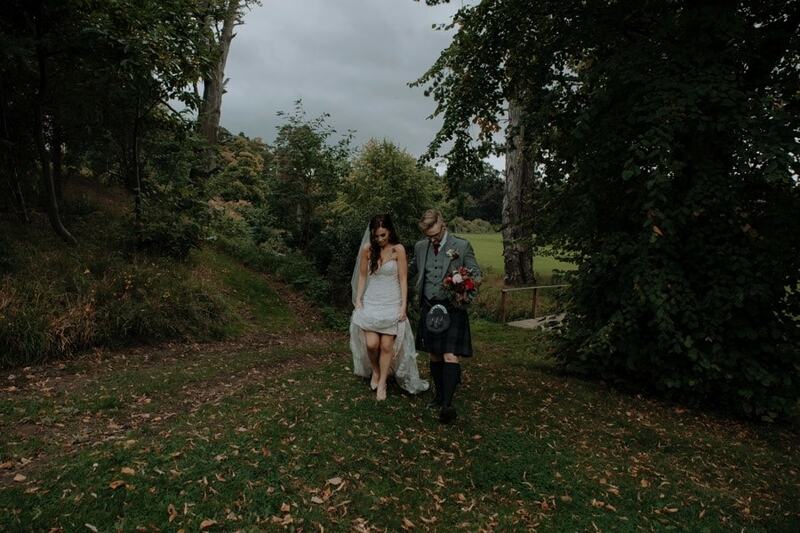 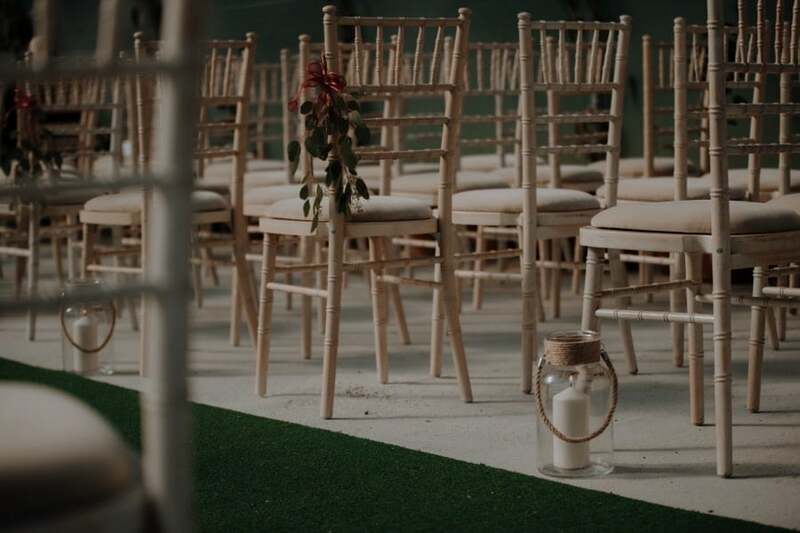 Colstoun is the perfect venue for you if you’re looking for a rustic Scottish wedding venue in Haddington or the Lothians. 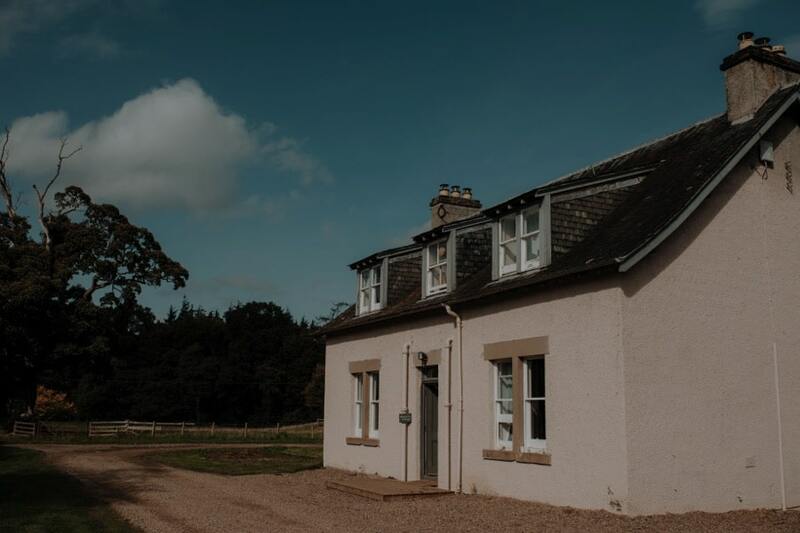 It’s a converted coachhouse with converted stables for accommodation. 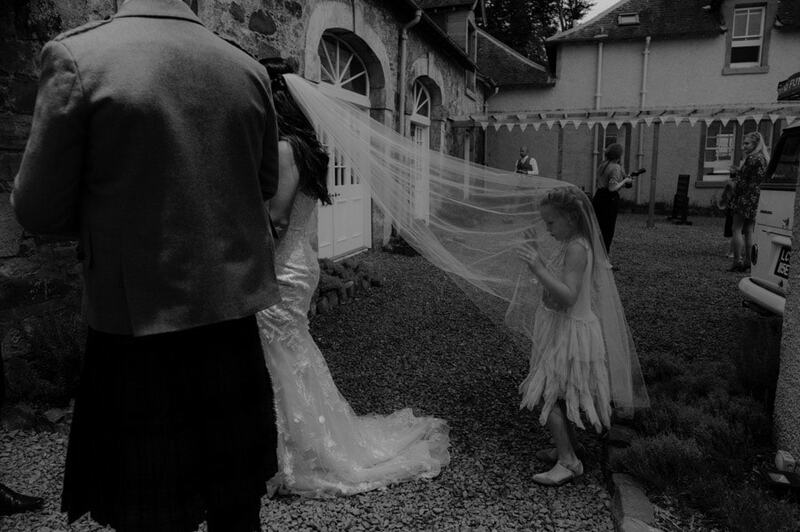 Colstoun is one of my favourite wedding venues in Scotland. 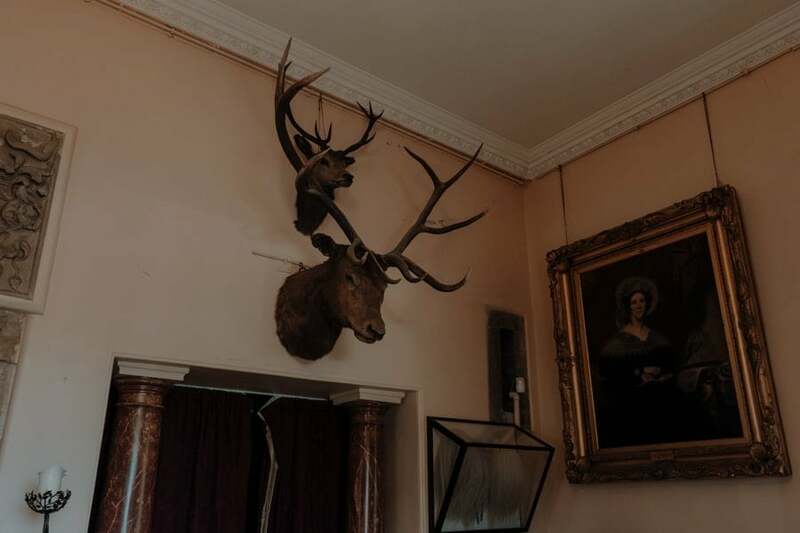 Take a look at these photographs below to see why.. 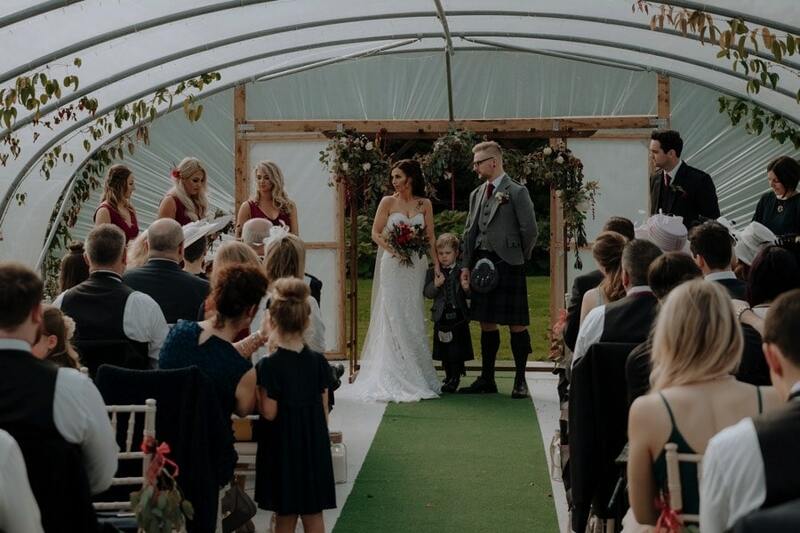 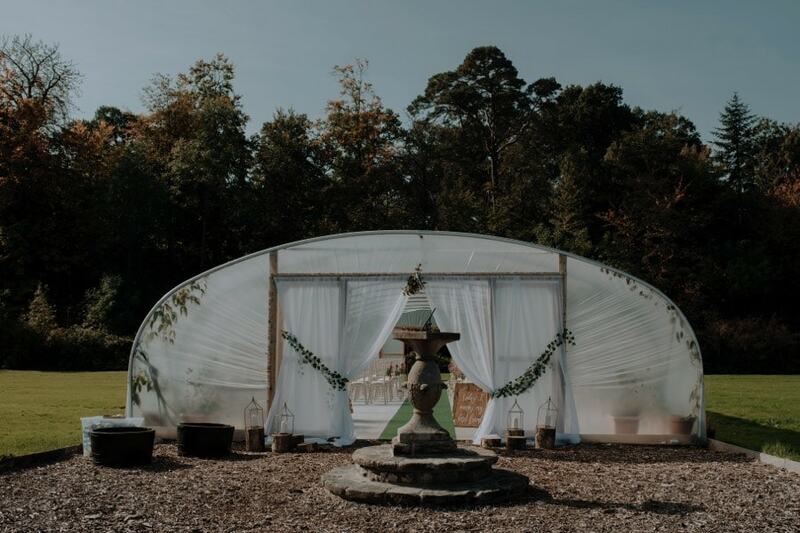 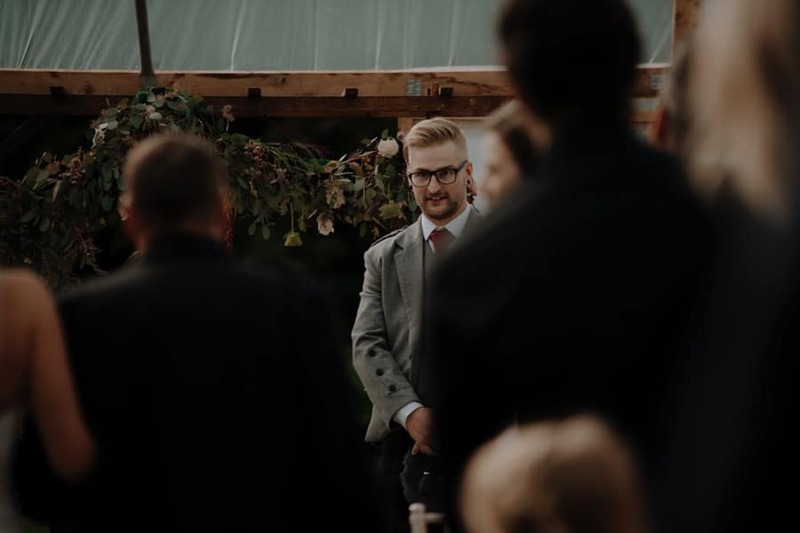 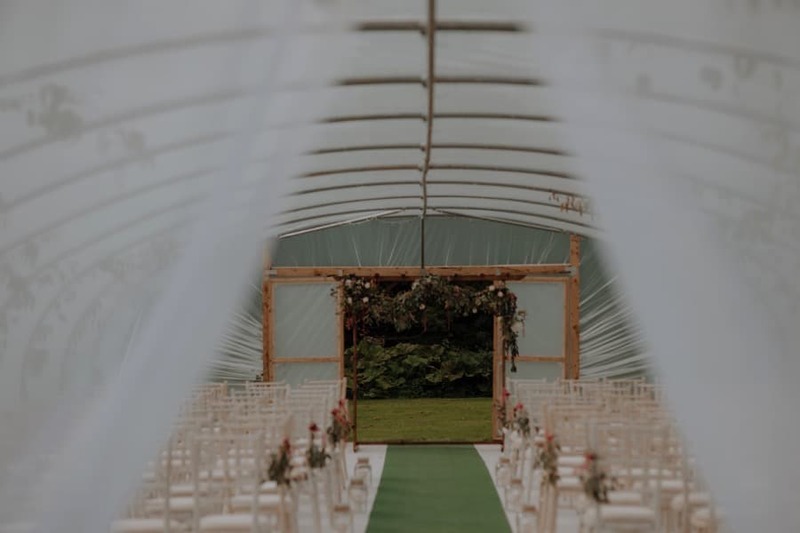 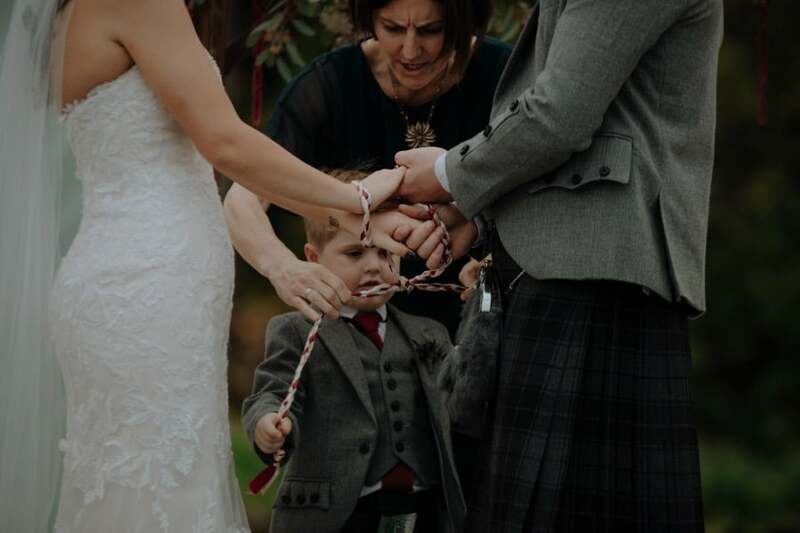 The ceremony was a Colstoun House Polytunnel wedding, one of my favourite features of Colstoun House. 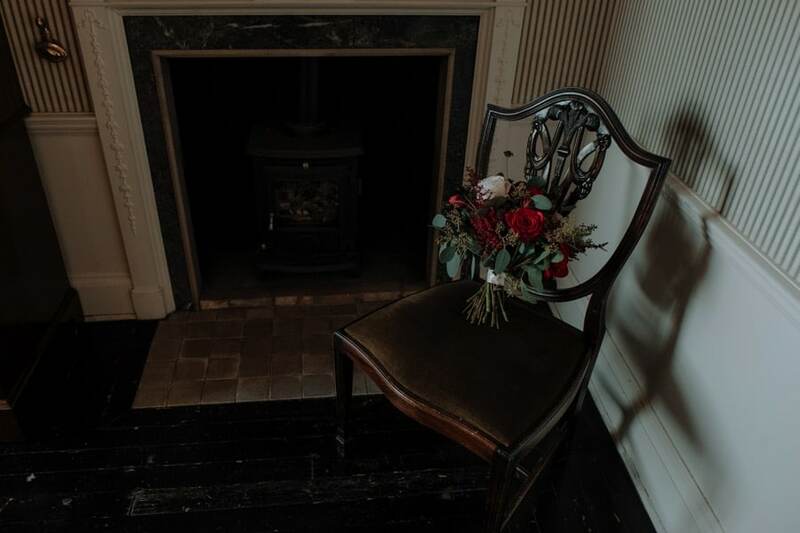 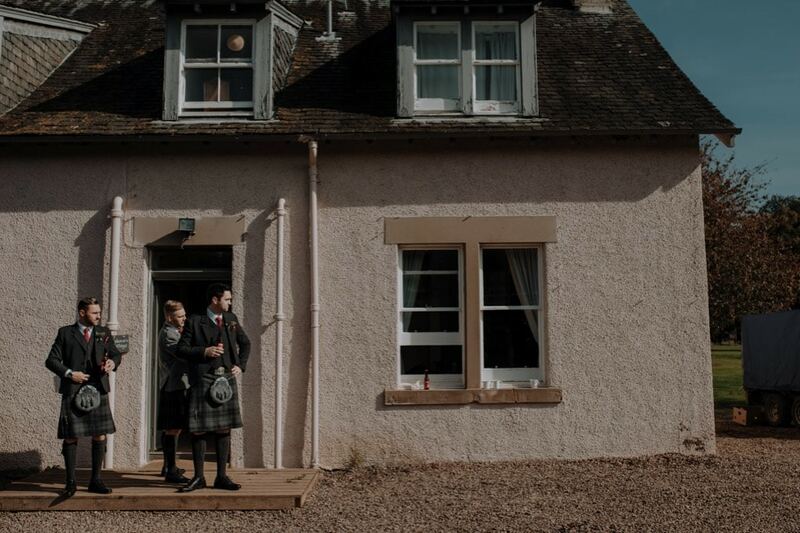 Claire got ready in the main house at the top of the hill, whilst Stefan used one of the cottages to get ready in. 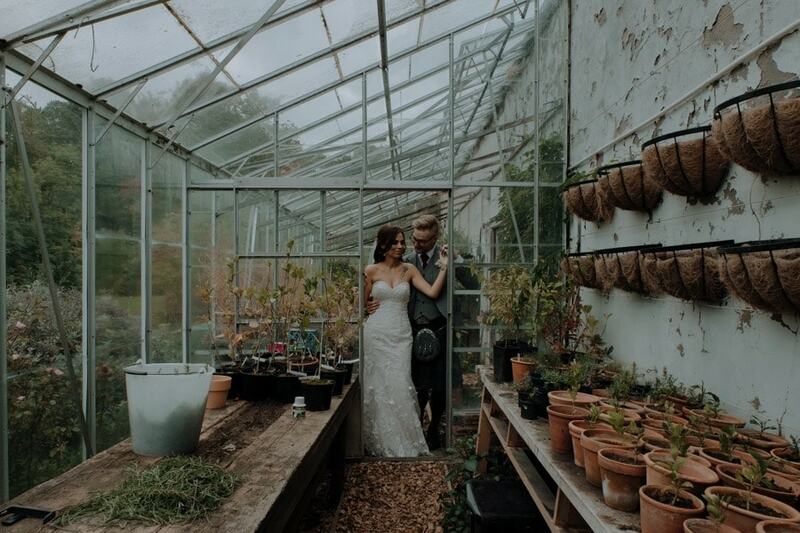 Claire & Stefan booked 2 photographers due to the size of the venue and wanting both preparations & candids captured. 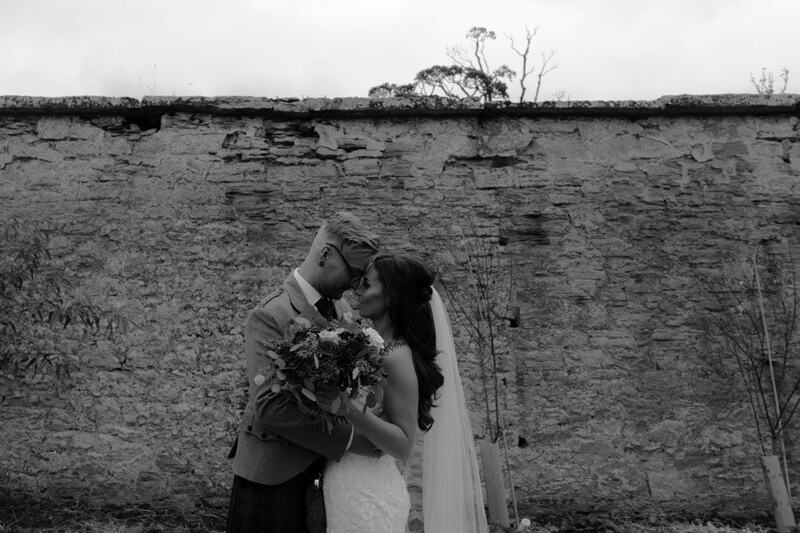 As you can see from the photographs below this was a really great decision, getting both angles from the day. 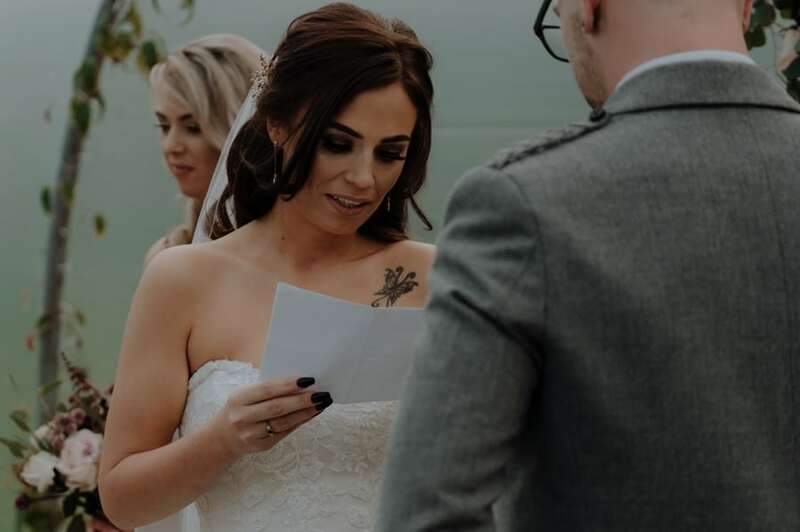 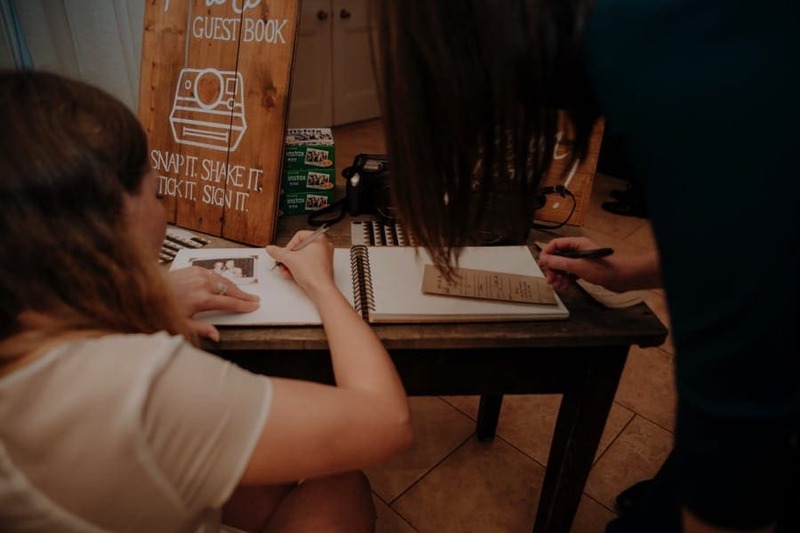 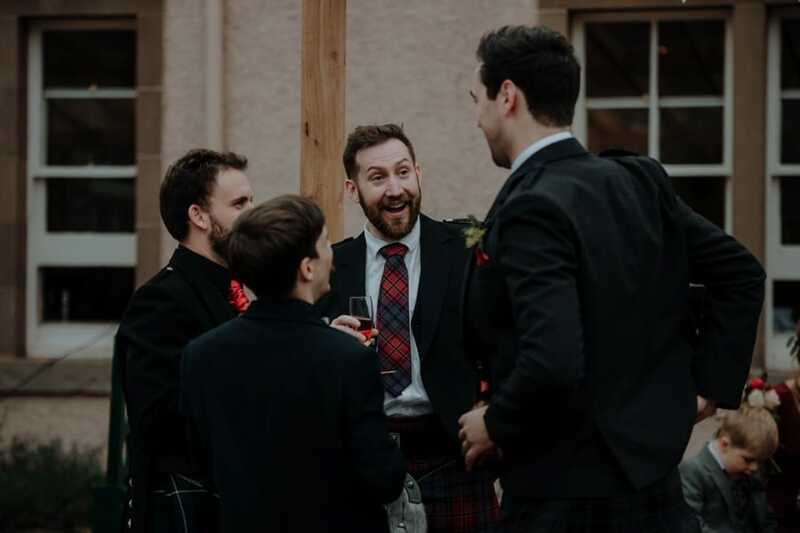 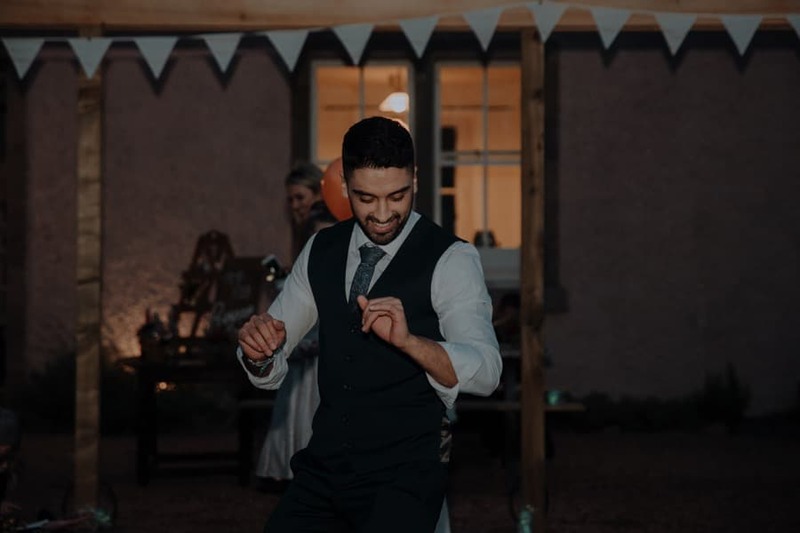 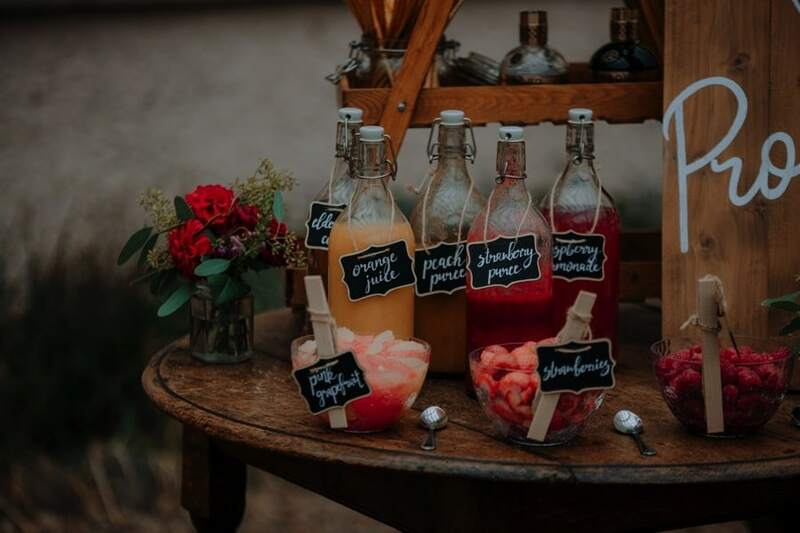 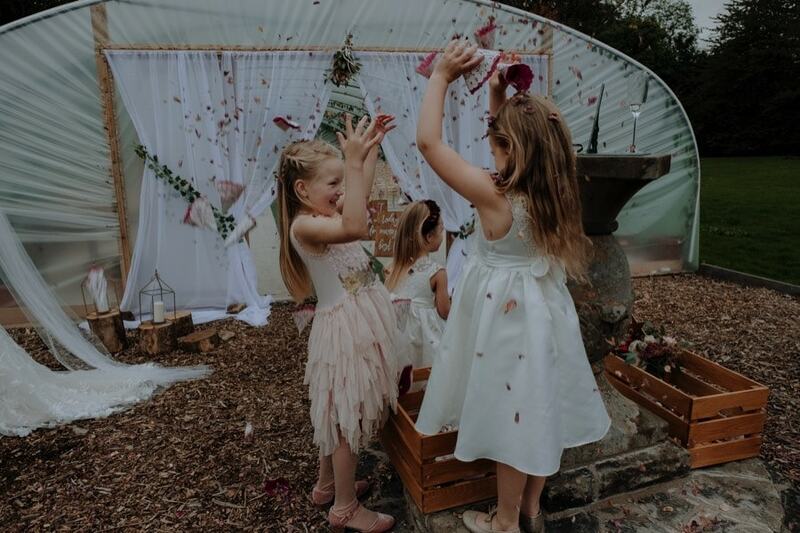 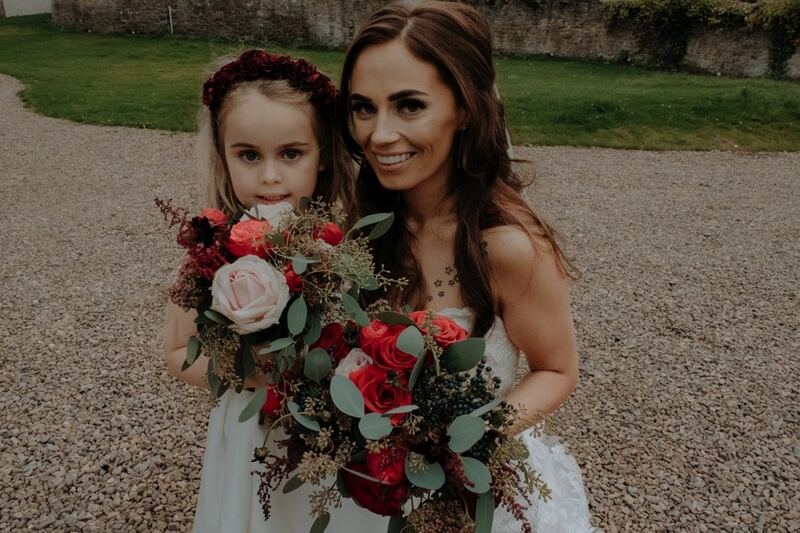 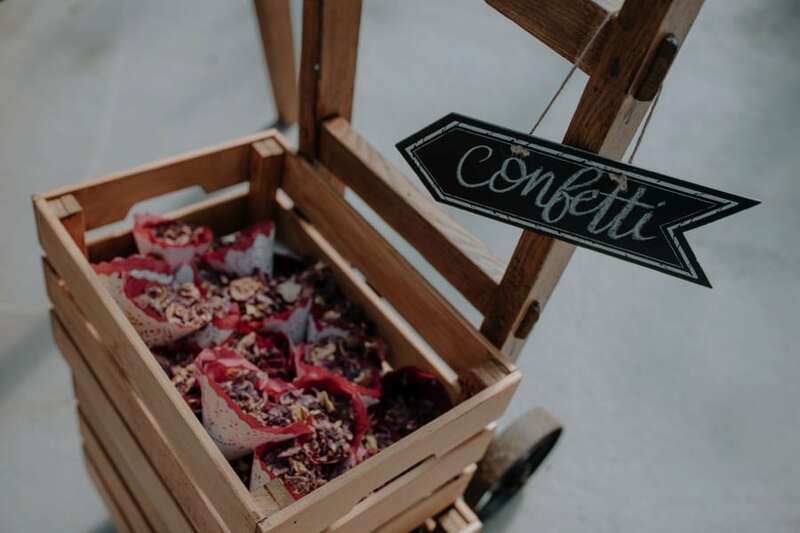 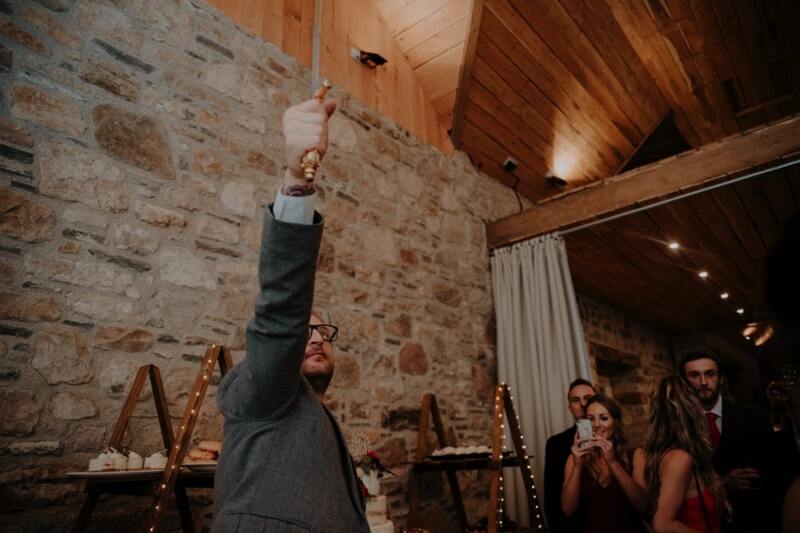 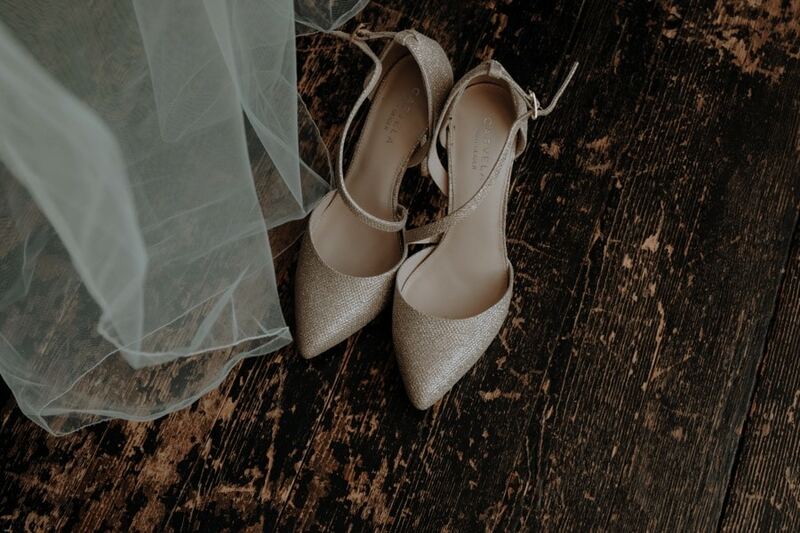 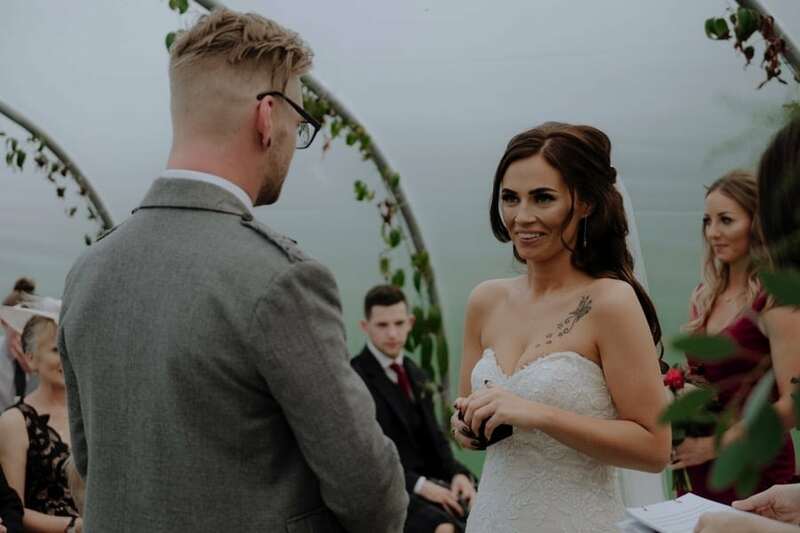 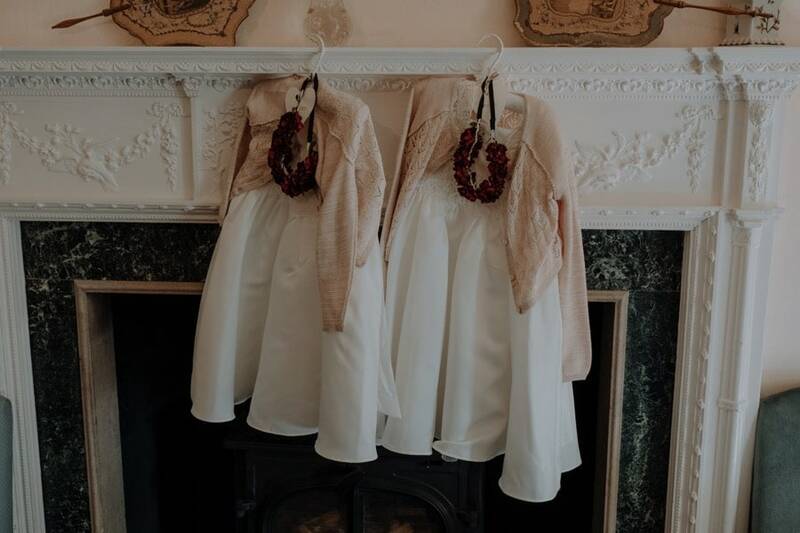 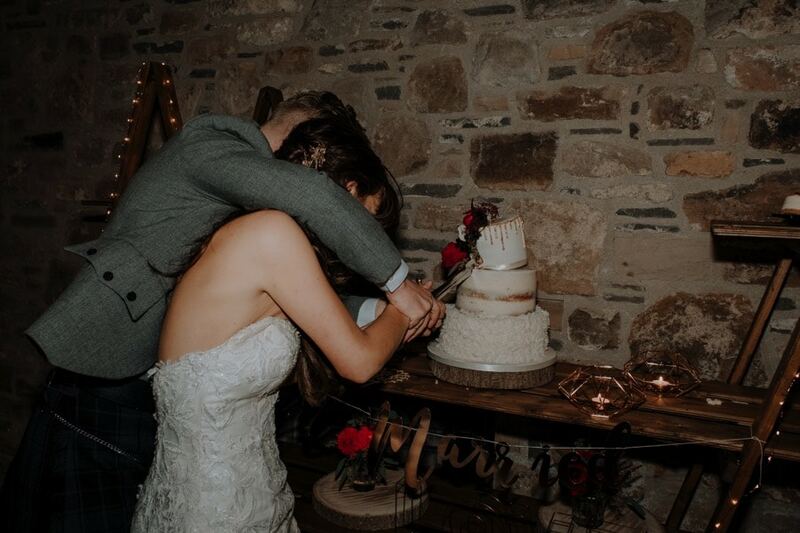 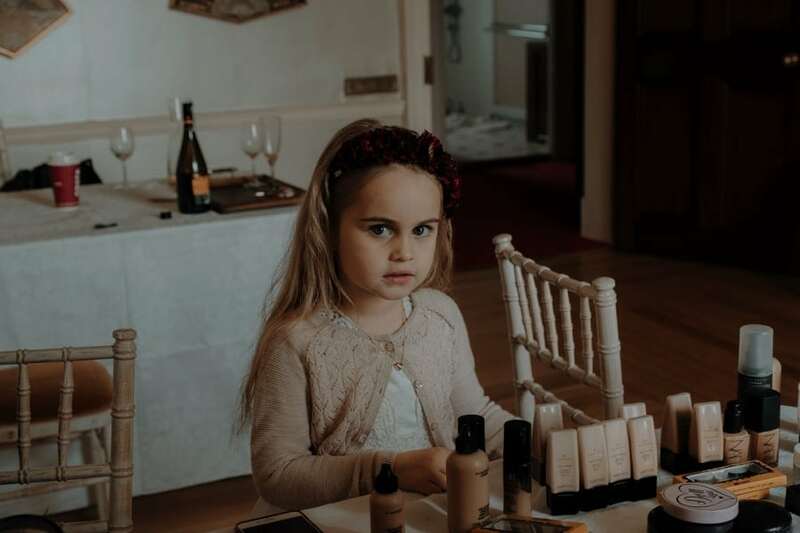 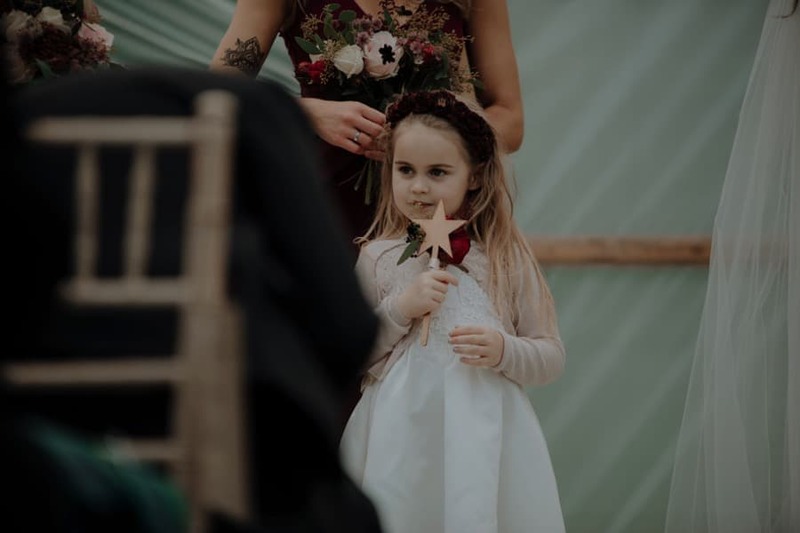 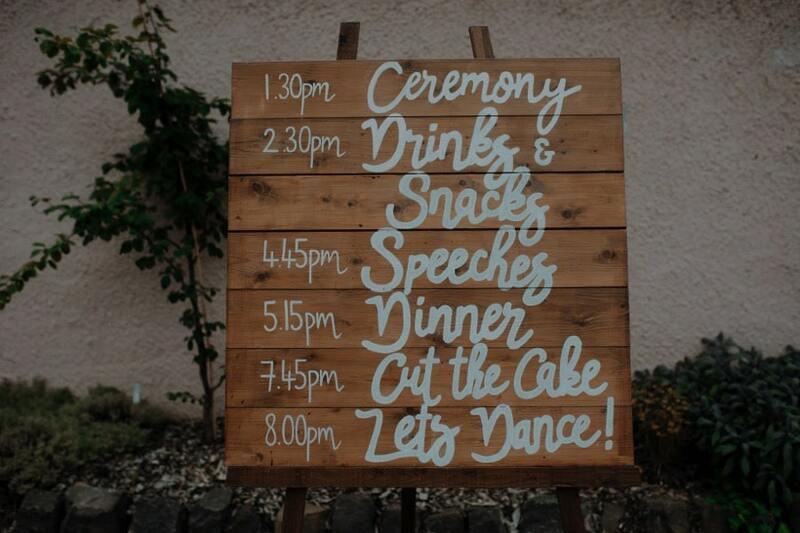 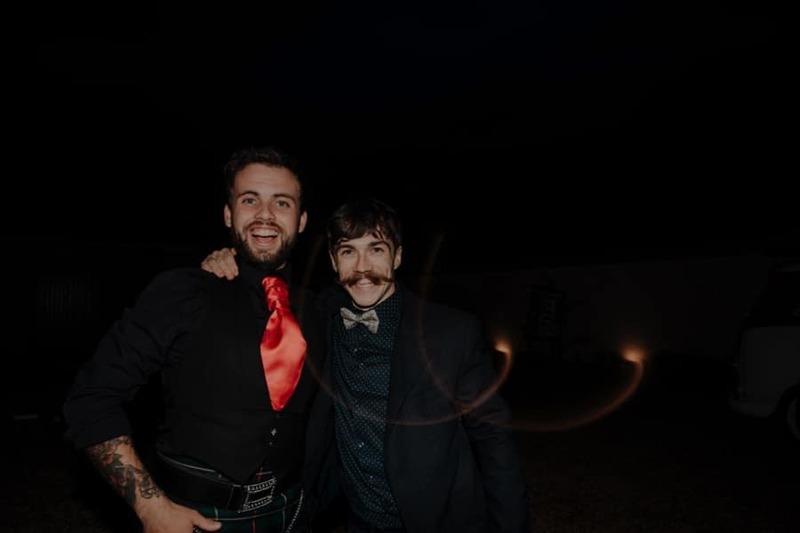 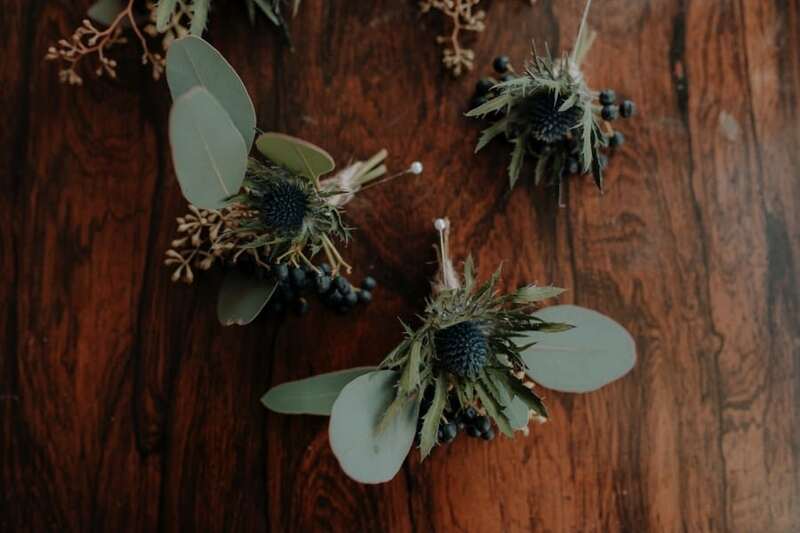 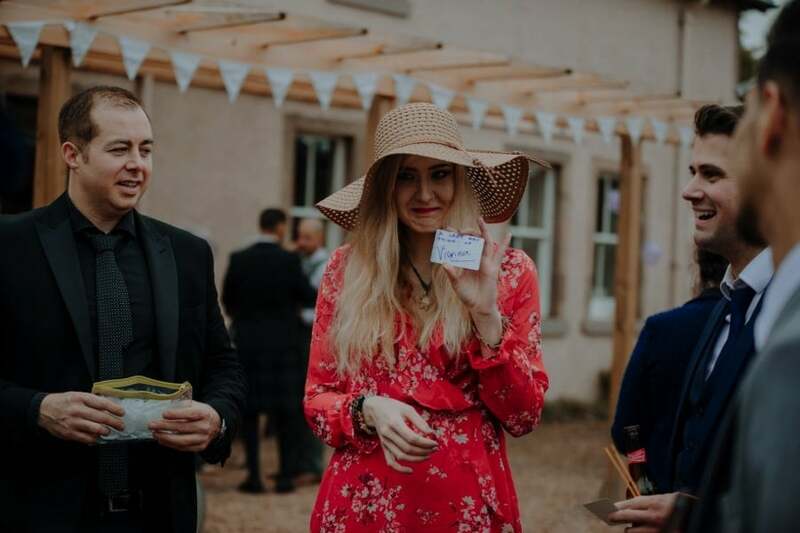 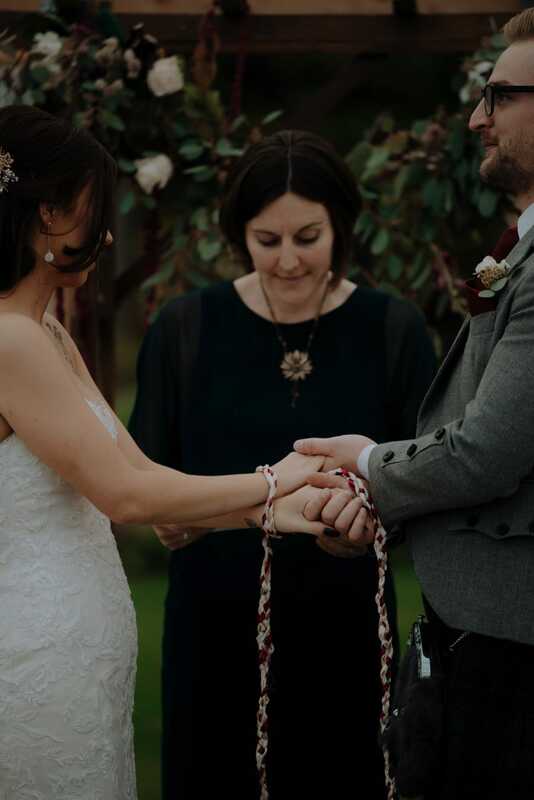 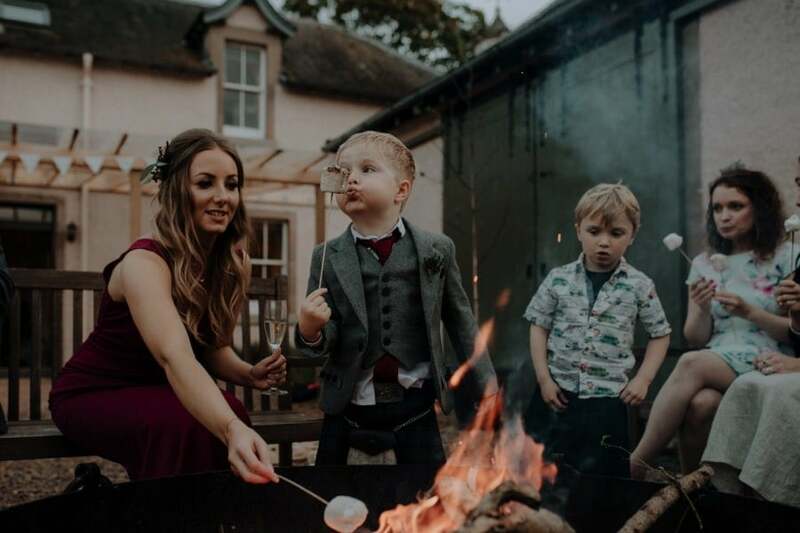 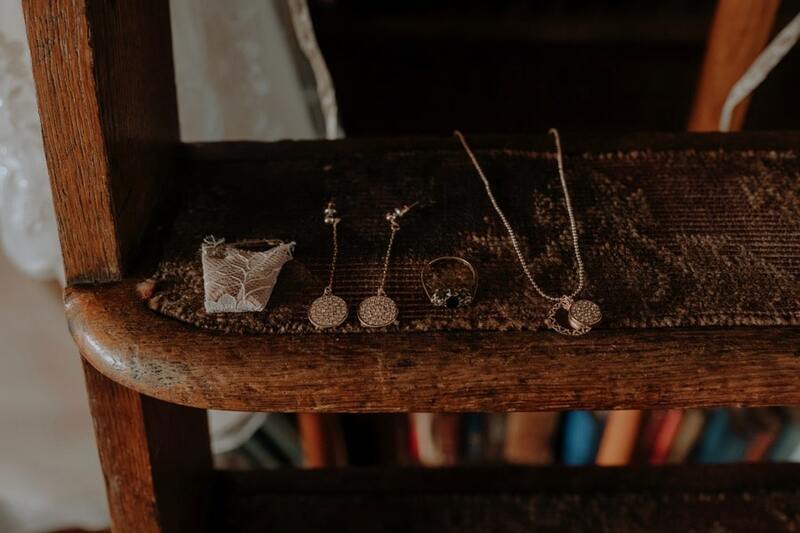 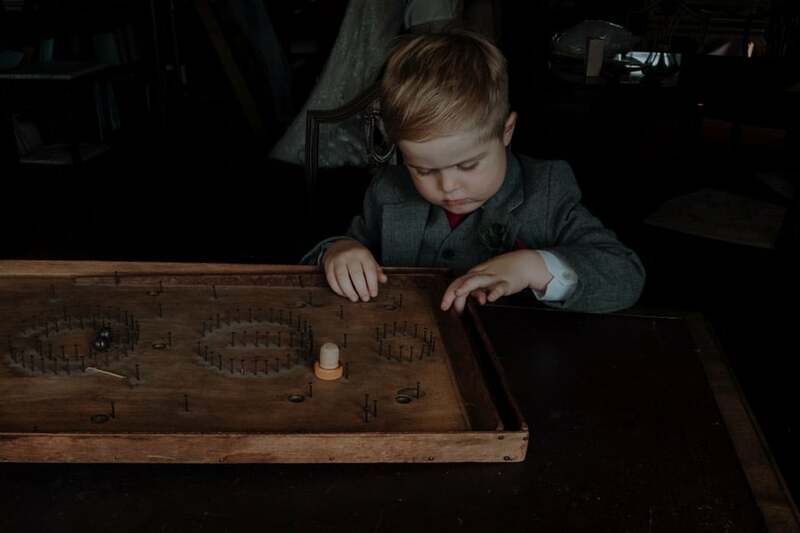 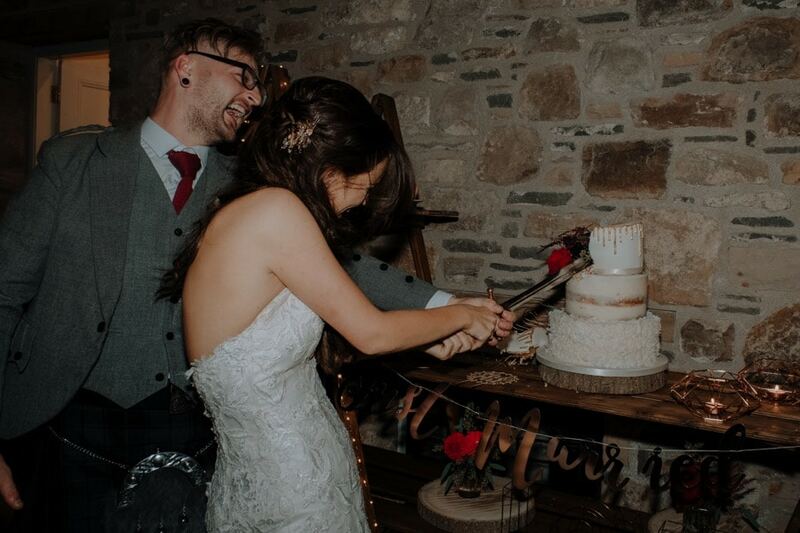 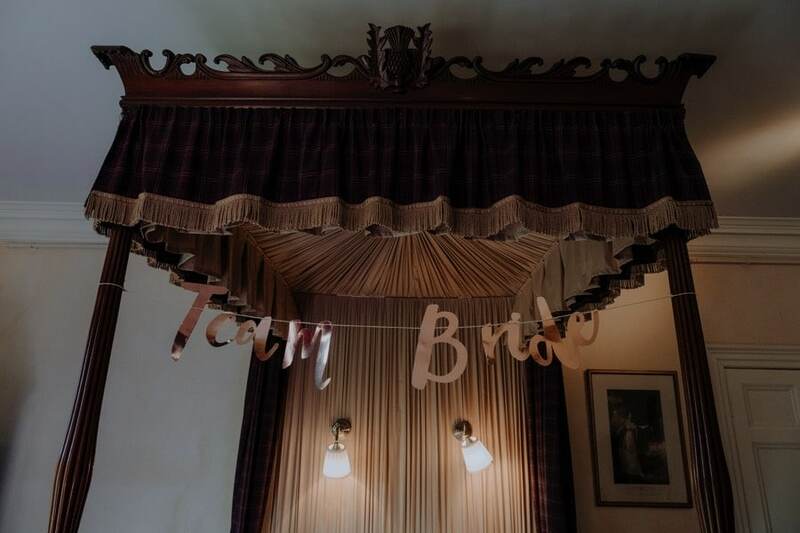 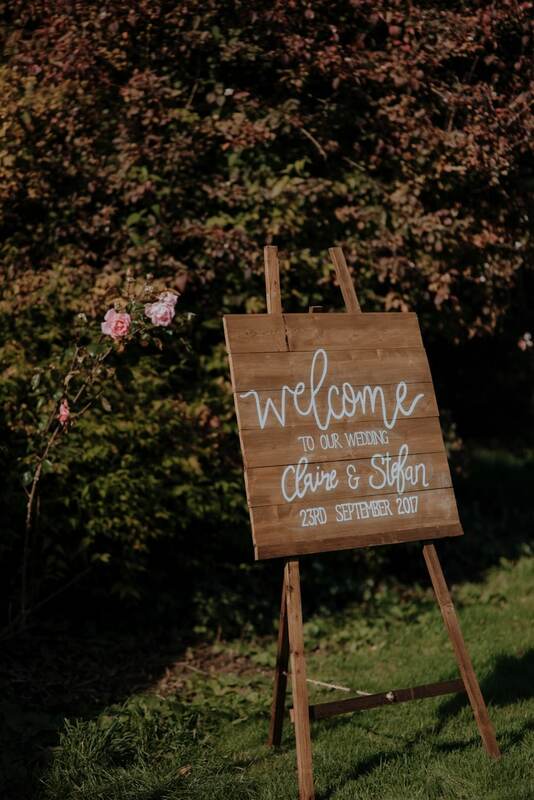 The meal, speeches, cake cutting and dancing took place in the Colstoun coachhouse which was decorated beautifully with gold accents, rustic foliage and a lot of incredible Pinterest worthy handwritten DIY woodwork. 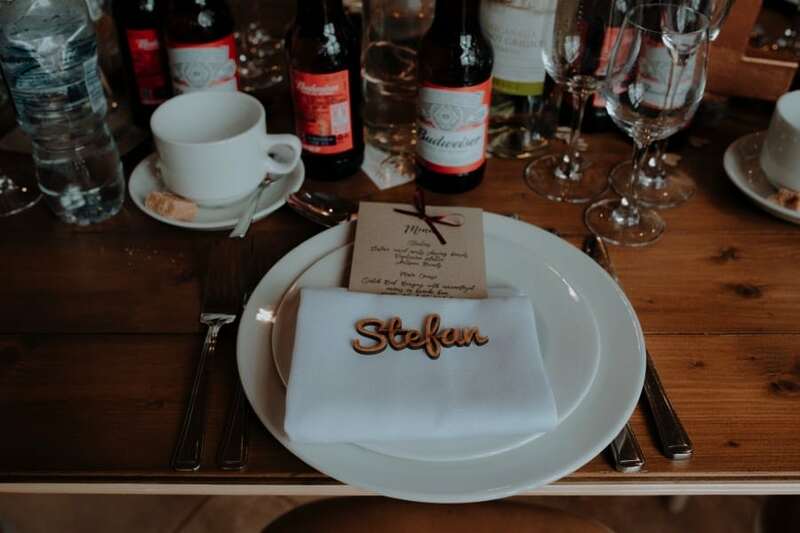 The table tops were made by the brides family, which really added to the uniqueness of their day. 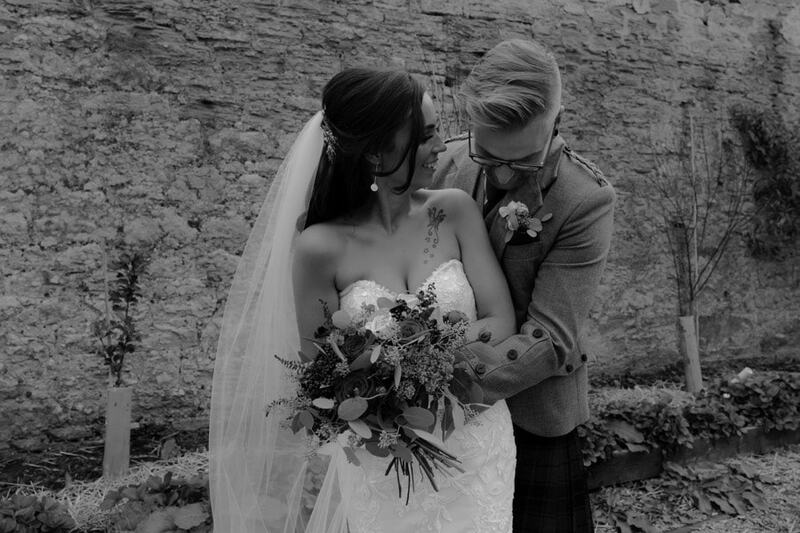 Claire & Stefan were a rockstar couple and just so lovely to work with. 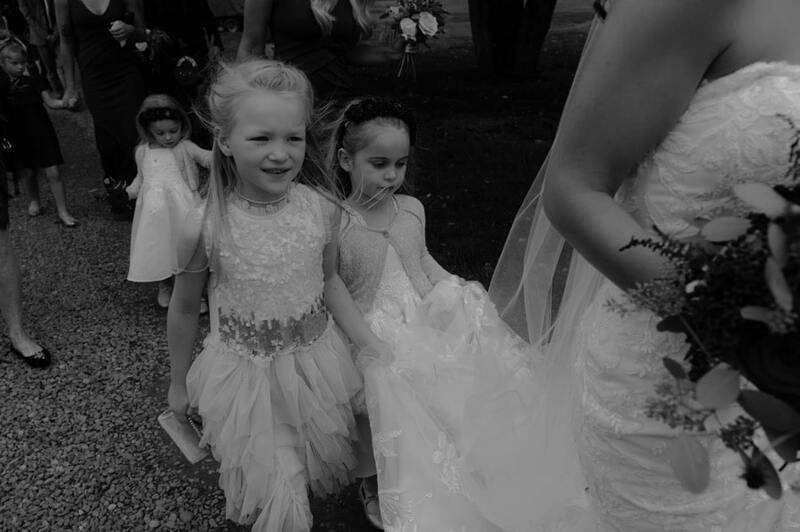 Their friends and families welcomed my 2nd shooter and I, allowing us to really capture the wedding party. 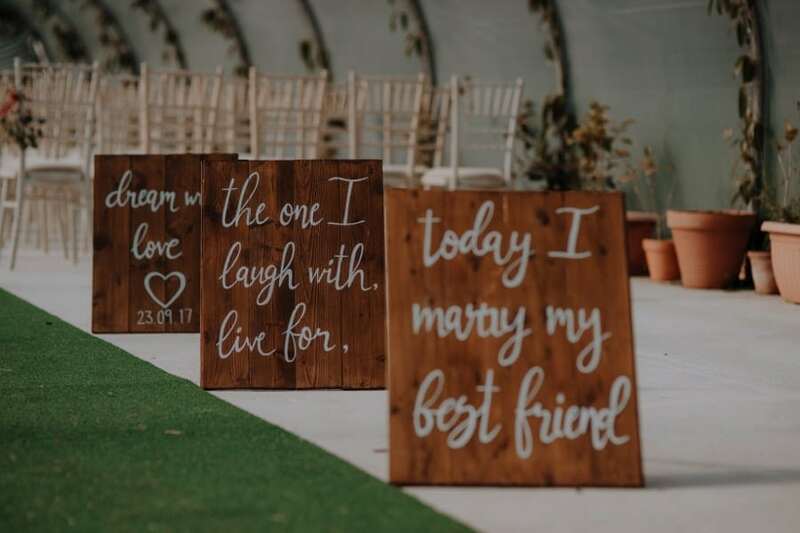 Here are a few words that my bride & groom had to say after seeing their wedding images. 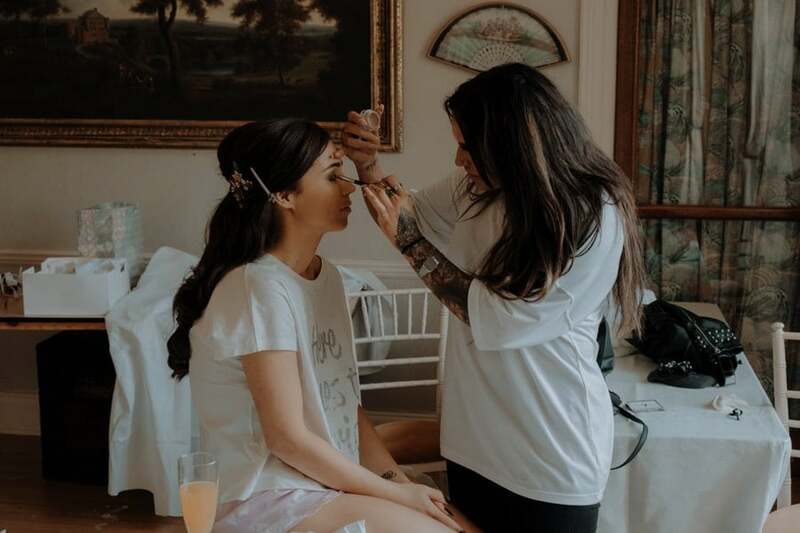 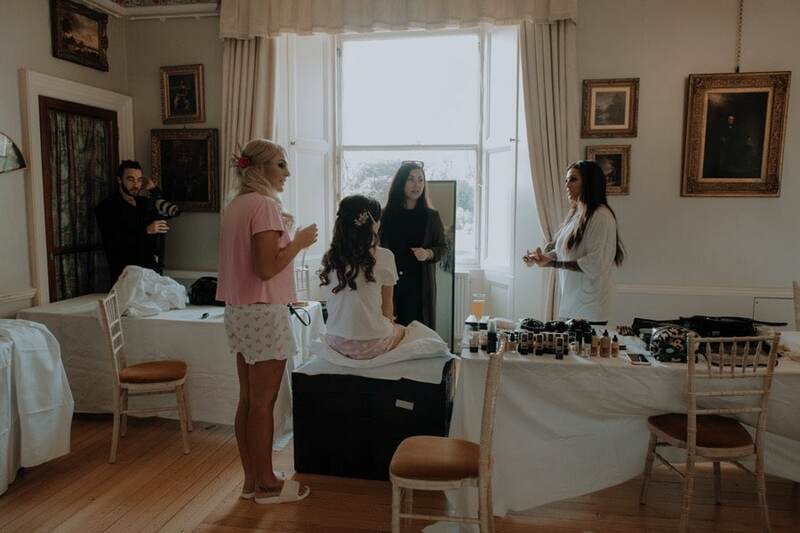 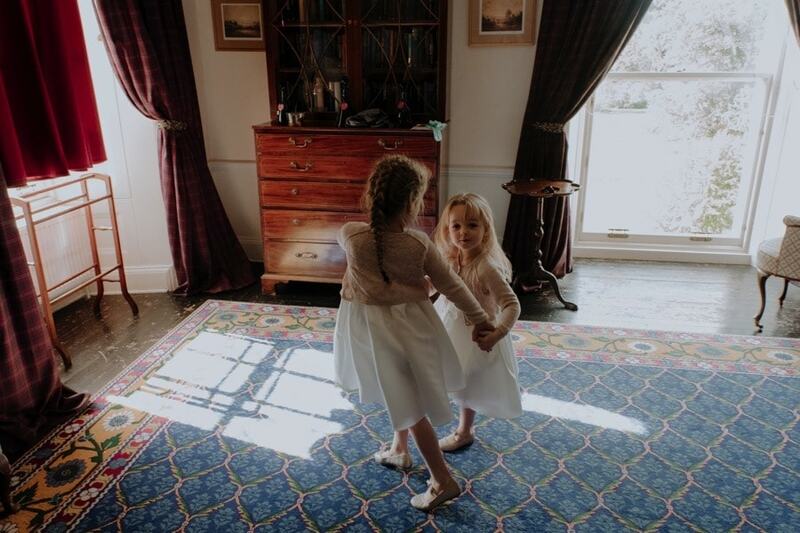 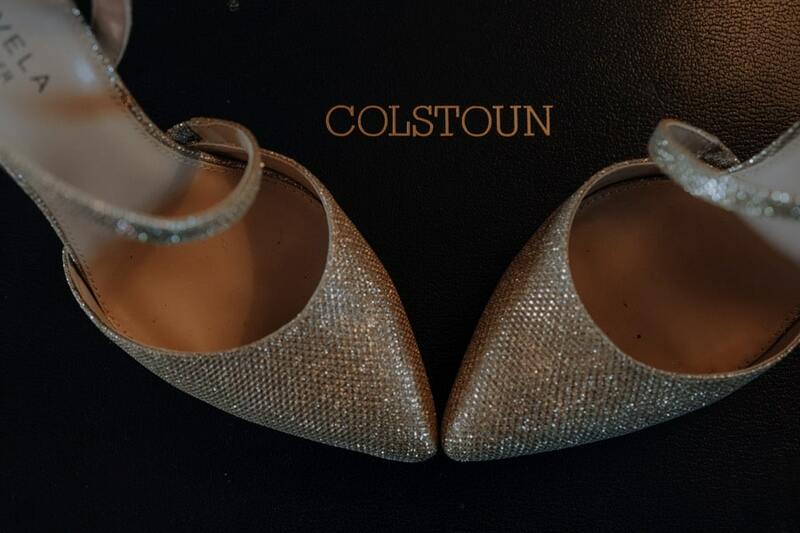 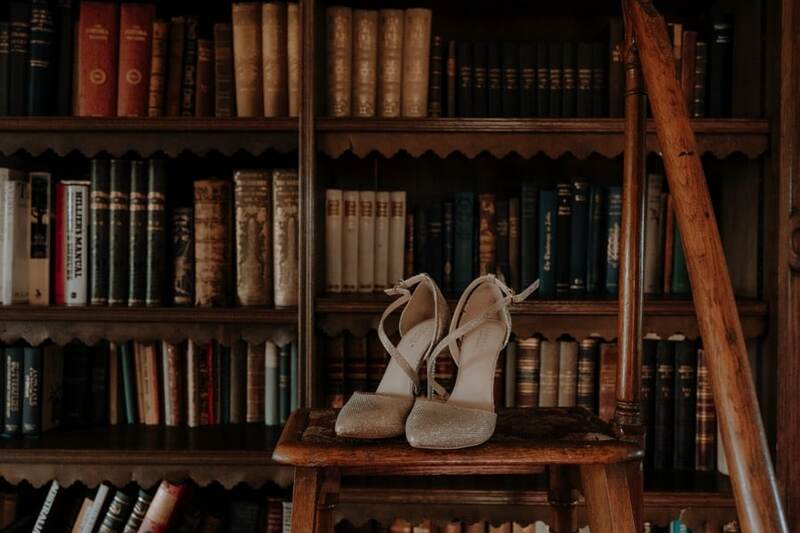 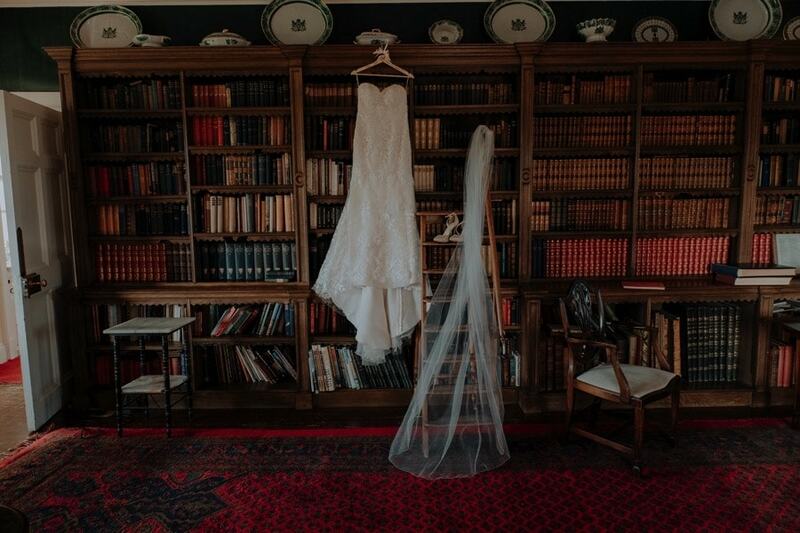 If you’d like to learn more about having a Colstoun wedding, take a look at my Colstoun House information post here. 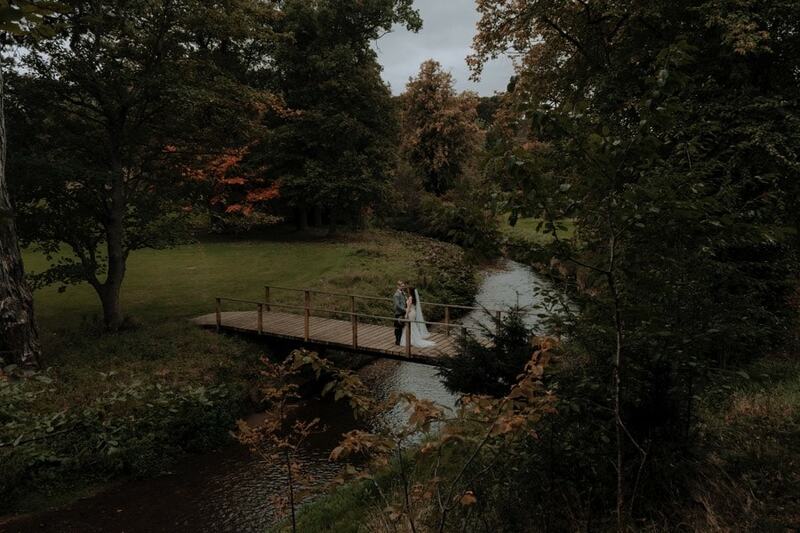 “I don’t even know what to say, as I am absolutely speechless after receiving all of our wedding photos this morning! 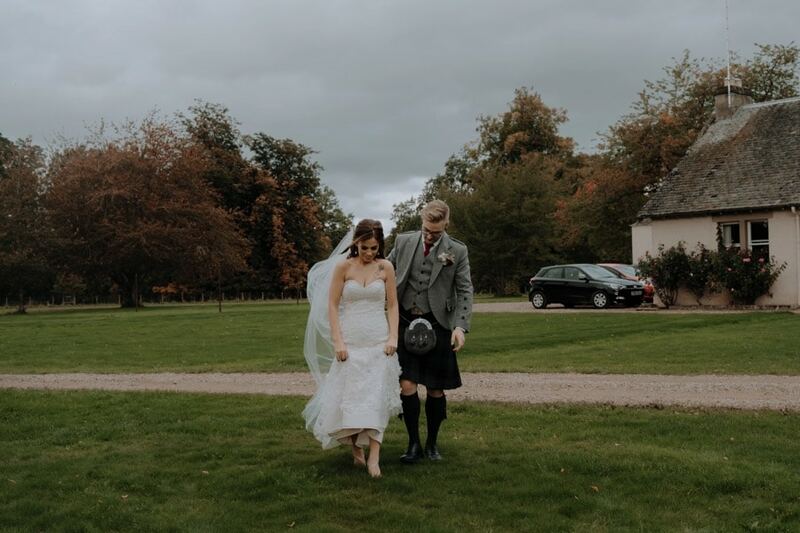 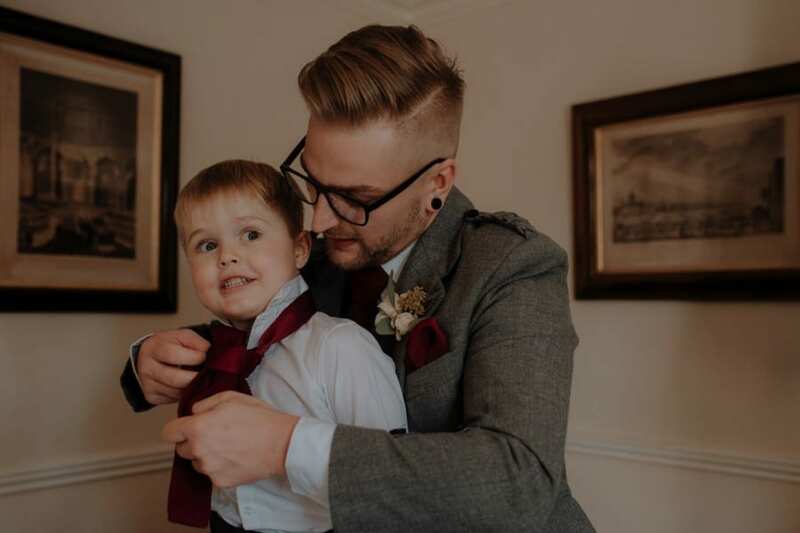 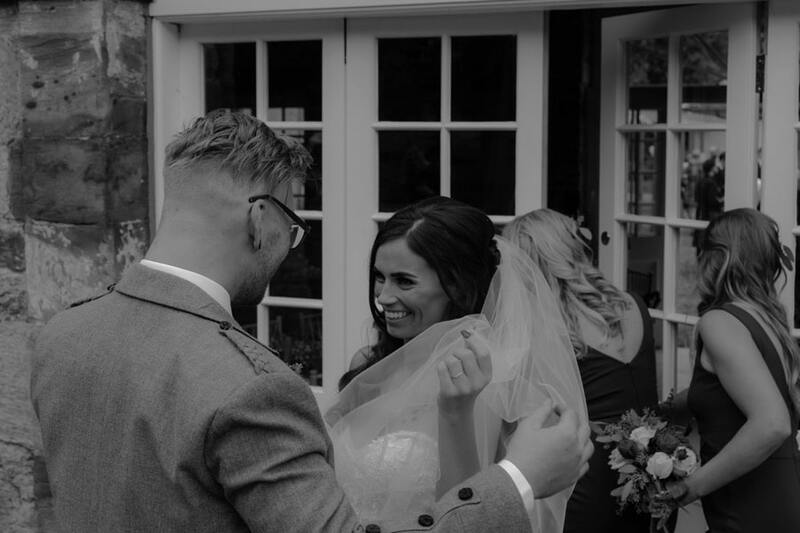 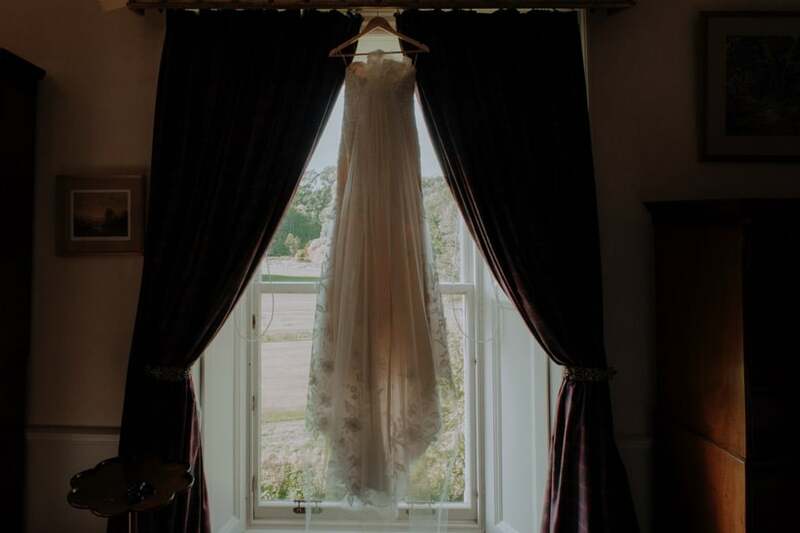 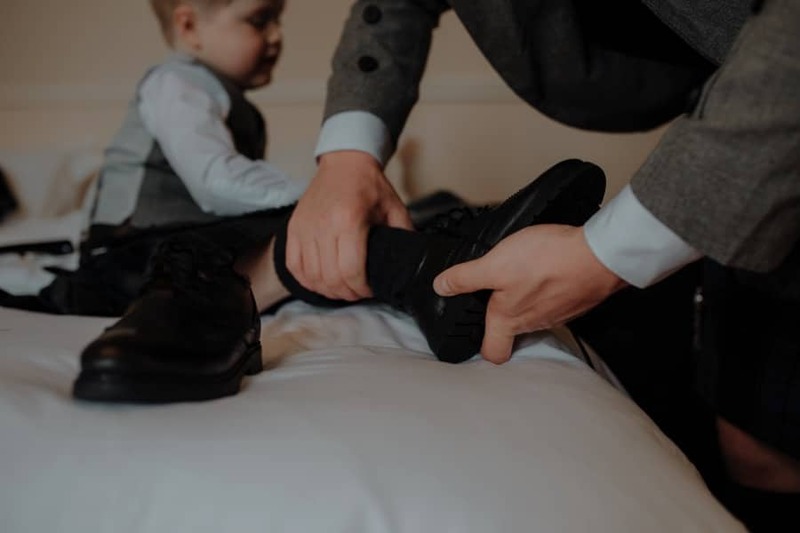 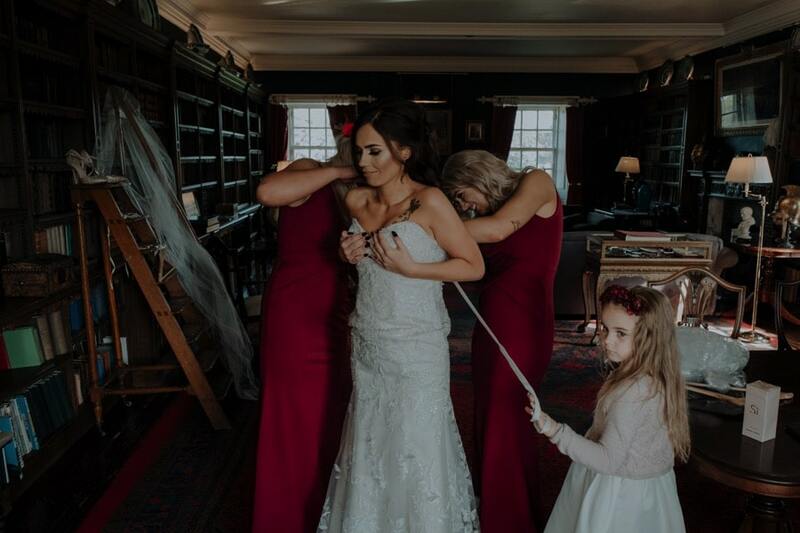 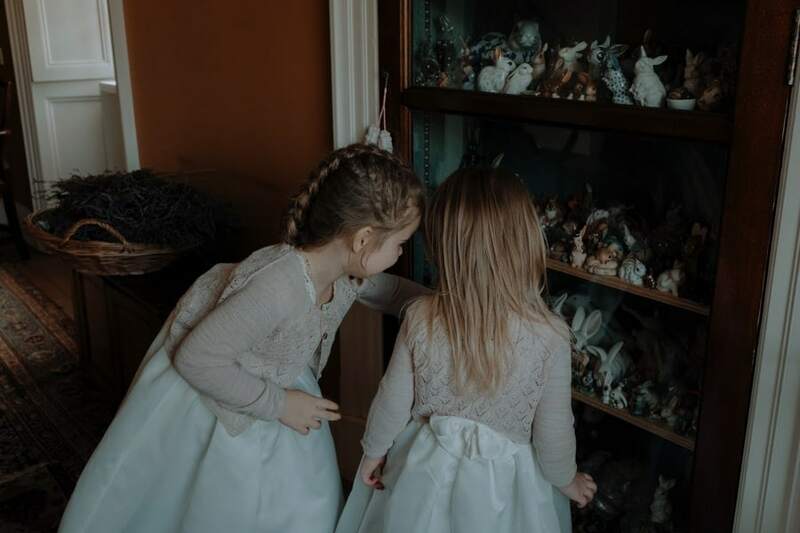 I haven’t stopped looking at them all day, they are the most incredible photos I could have wished for and we can’t thank Christine enough for capturing our day so beautifully. 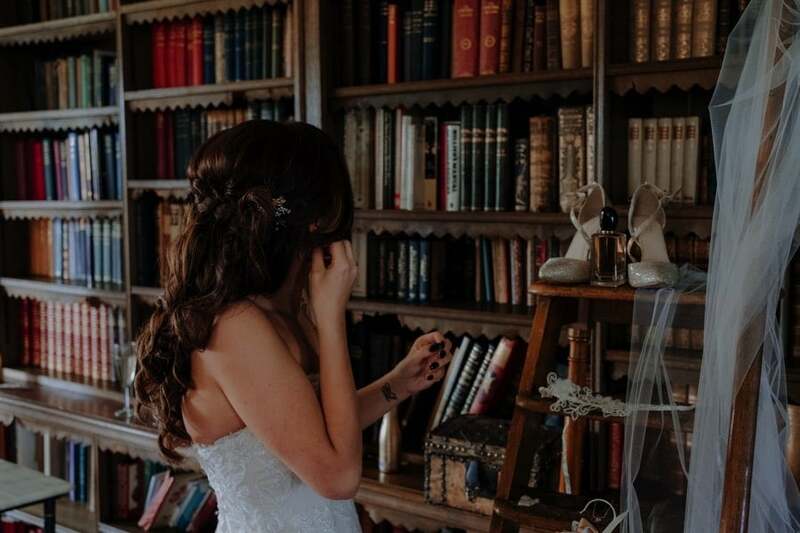 From the first time I spoke to Christine (for over an hour about every detail of our weddings!) 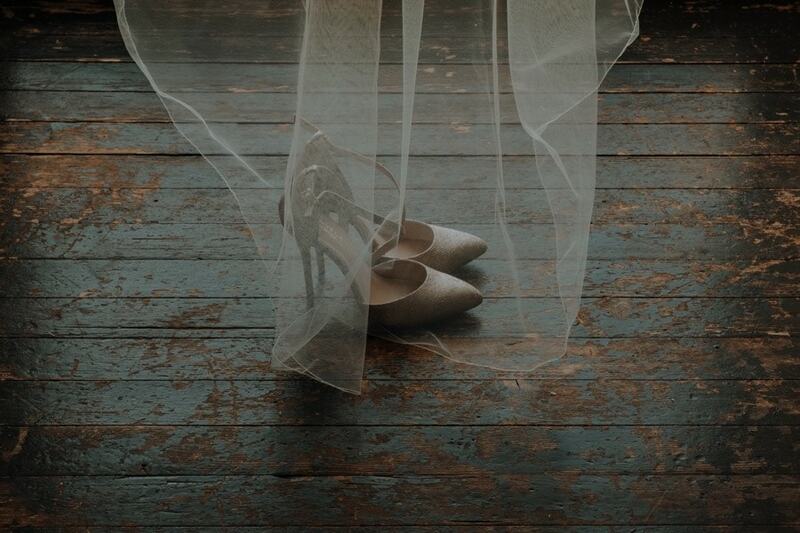 to the morning preparations she felt as much like an added friend for the wedding as a photographer. 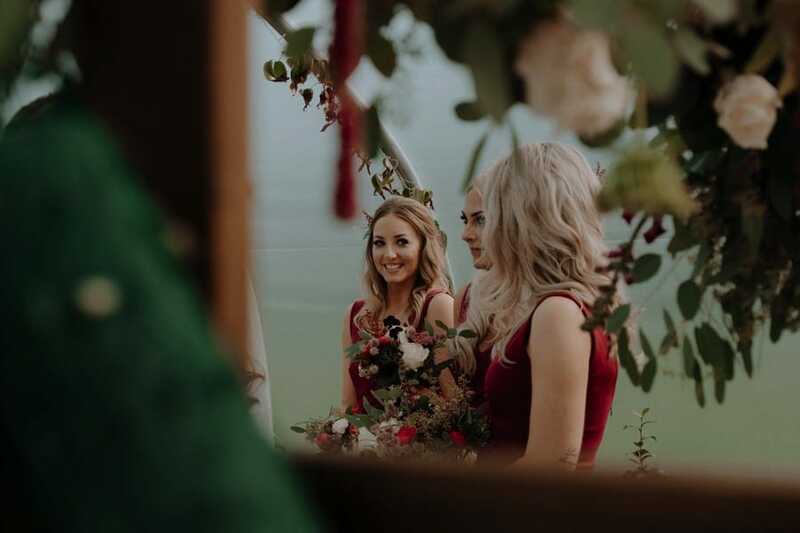 I still don’t even know what to say other than they are simply stunning – anyone that knows me knows that getting a photo I like is a challenge at best but I can’t even start to pick ones I like as there are SO many, how to decide on the photos for an album is the next challenge! 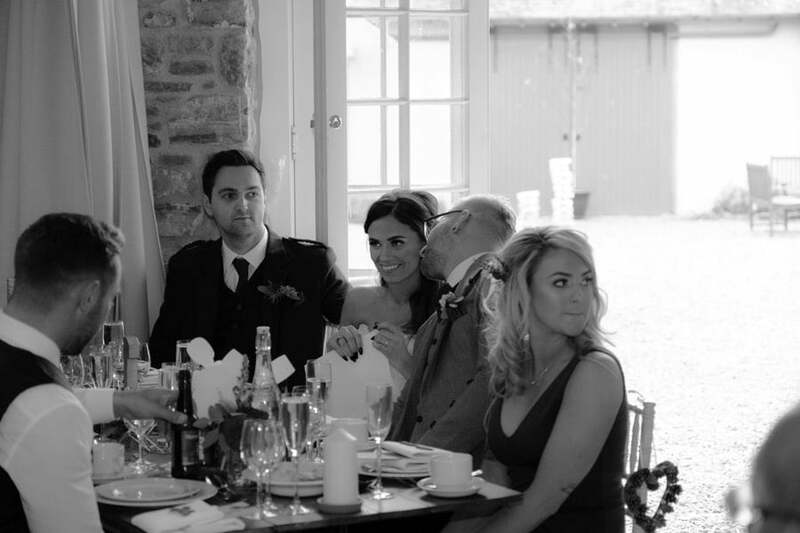 AHHH ABSOLUTELY LOVED EVERY MOMENT OF THIS WEEKEND! 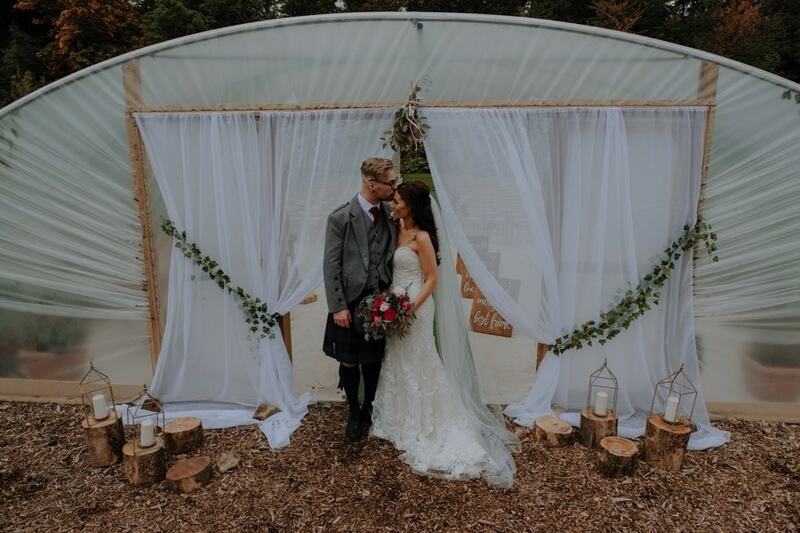 SO HAPPY TO HOST THIS WEDDING AND SUCH GREAT PHOTOS! 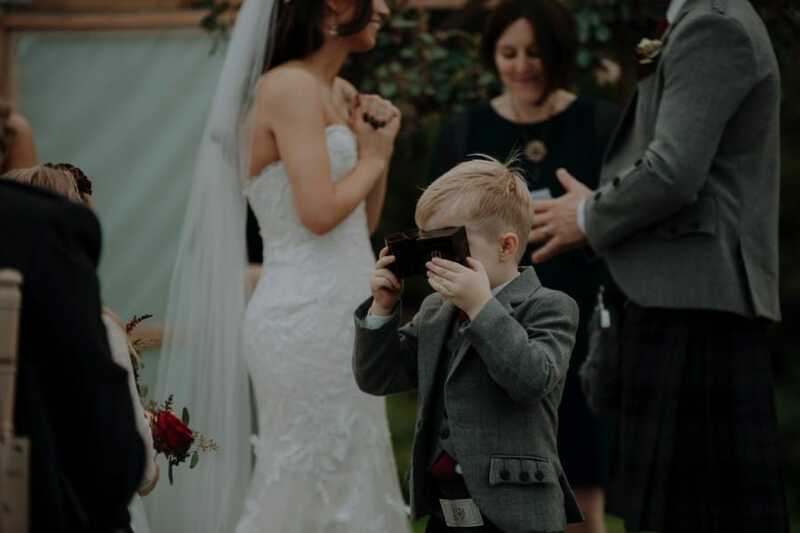 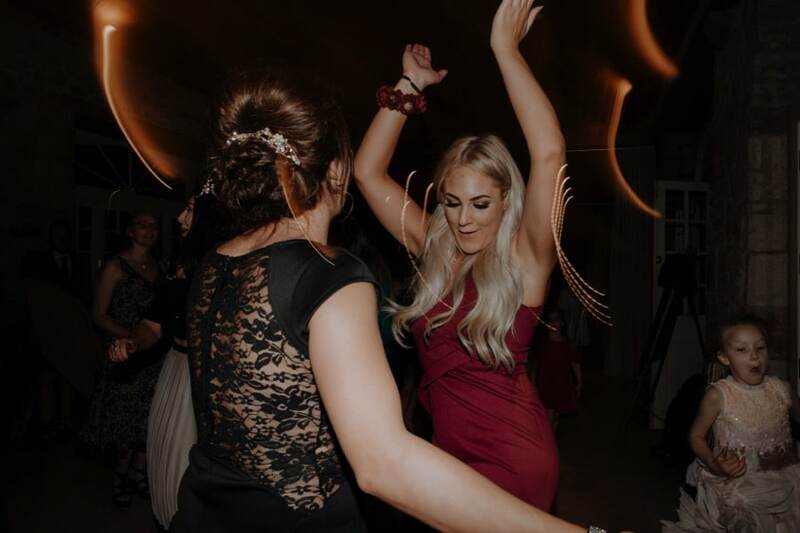 C+S amazing weekend has been perfectly captured by your photos! 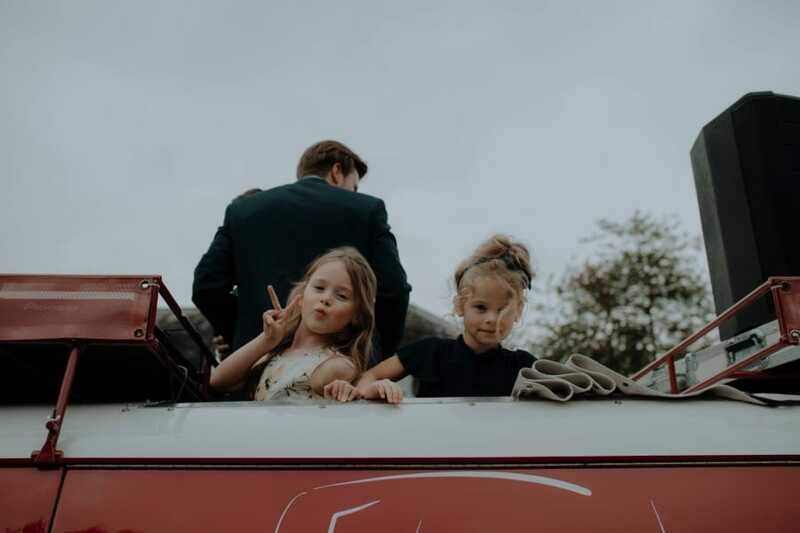 they’ll have the greatest memories from these beautiful shots! 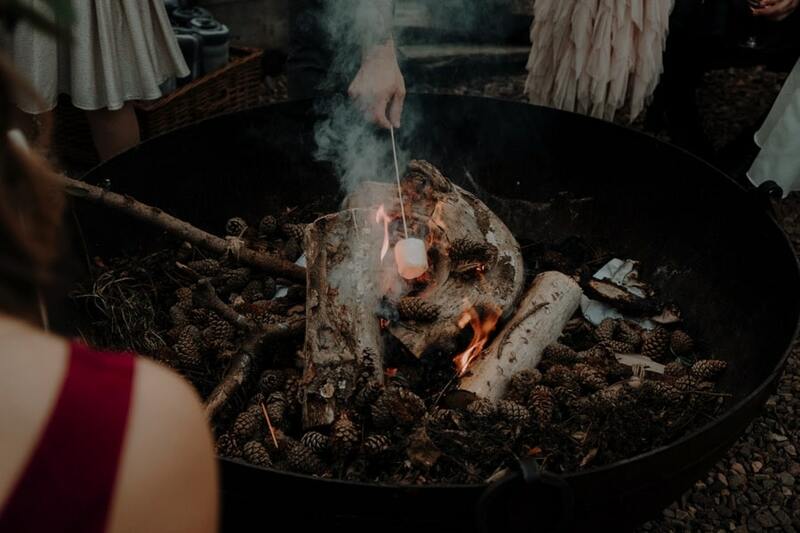 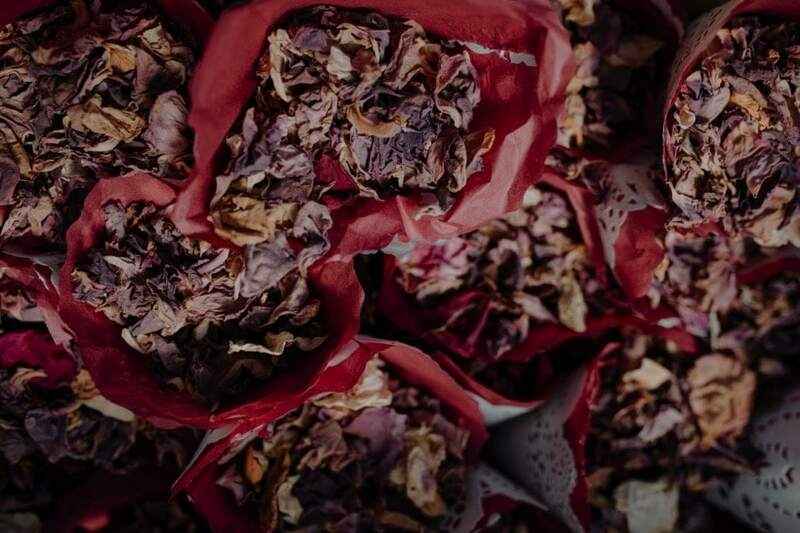 Keep coming back to this blogpost! 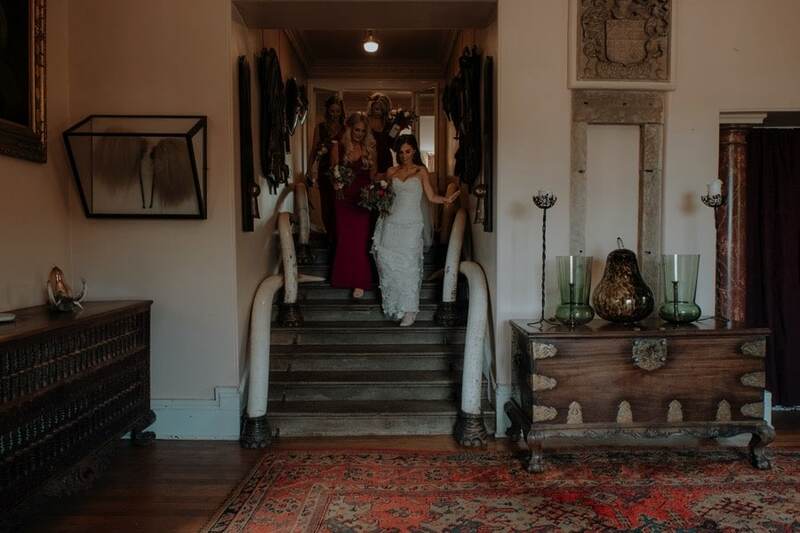 So much fun working with you on this day, Christine. 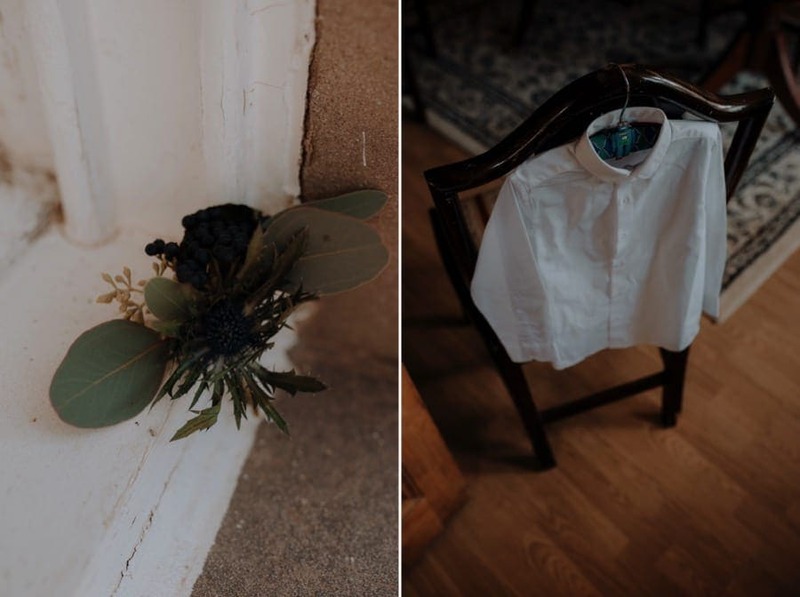 Beautifully put together blogpost. 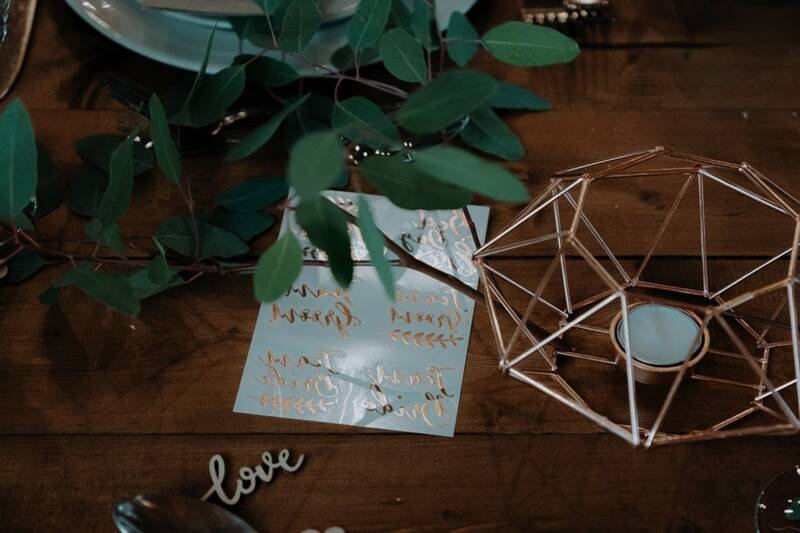 No wonder you got such great feedback!